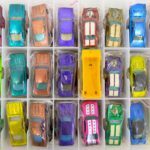 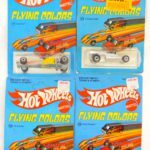 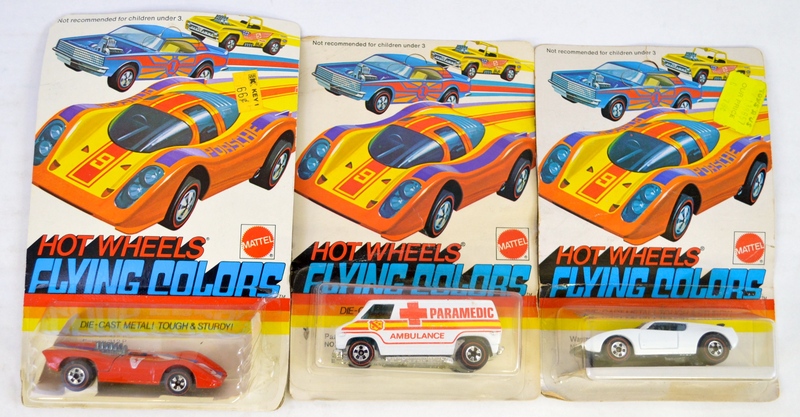 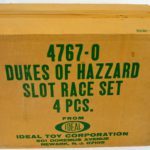 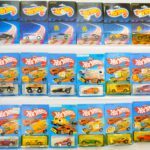 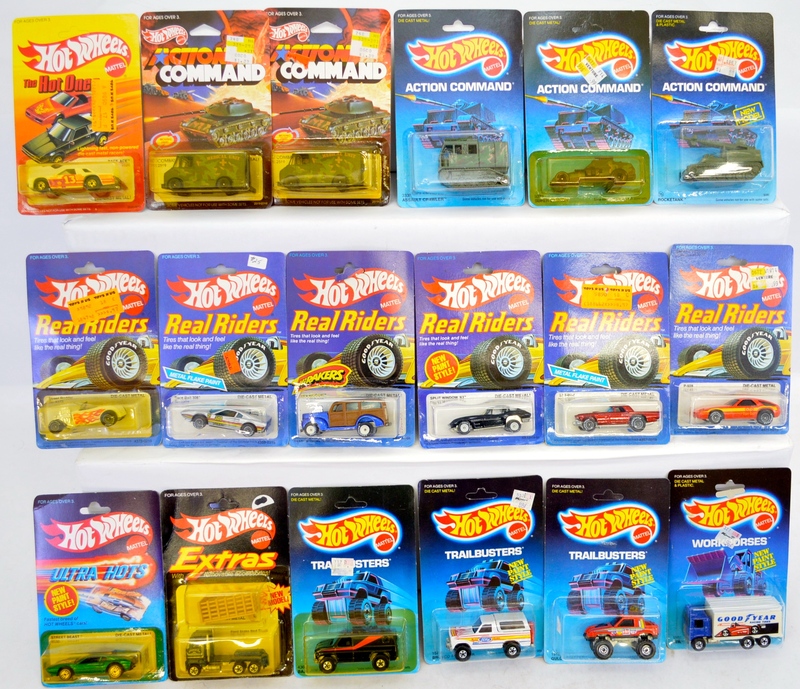 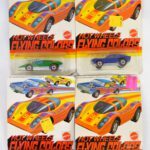 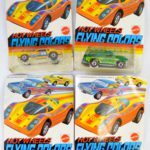 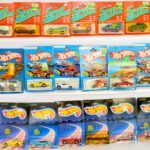 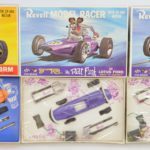 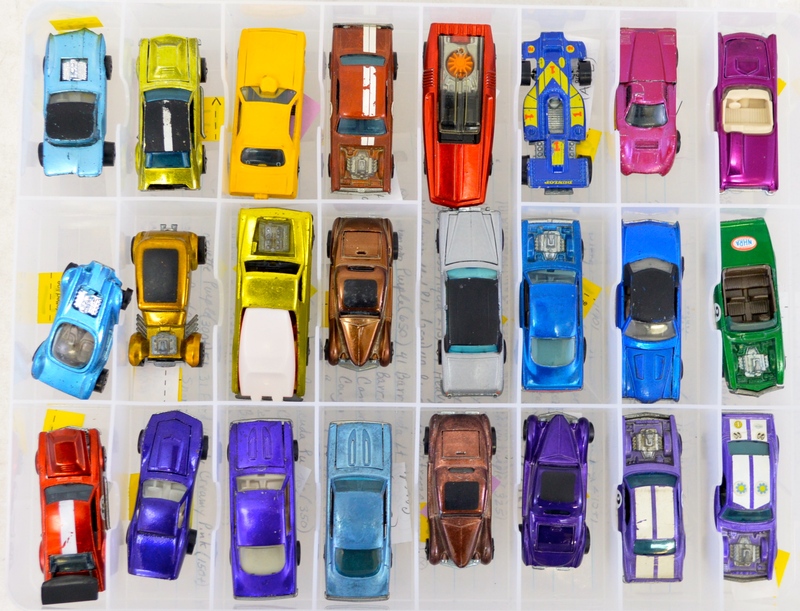 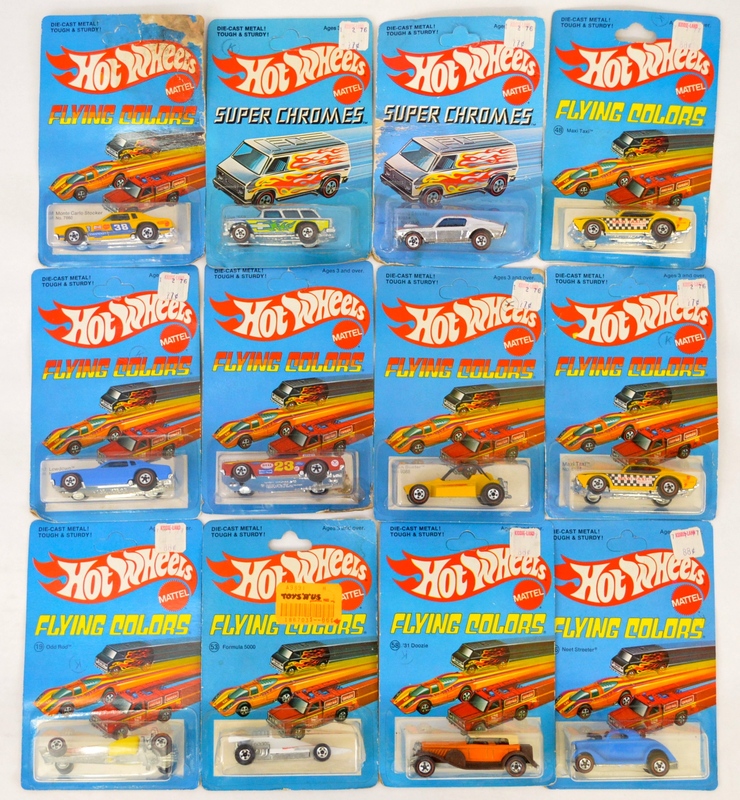 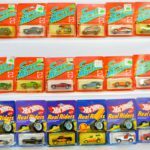 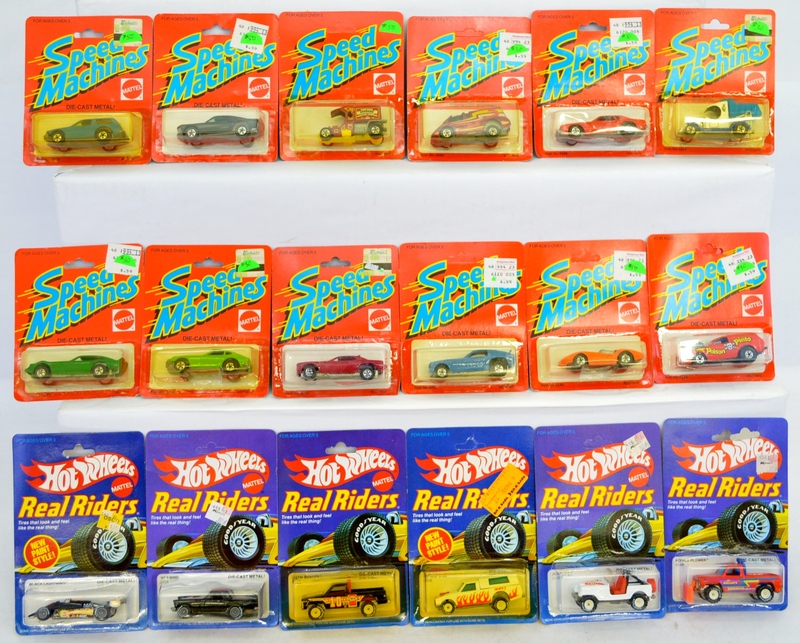 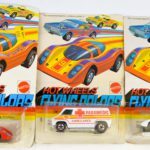 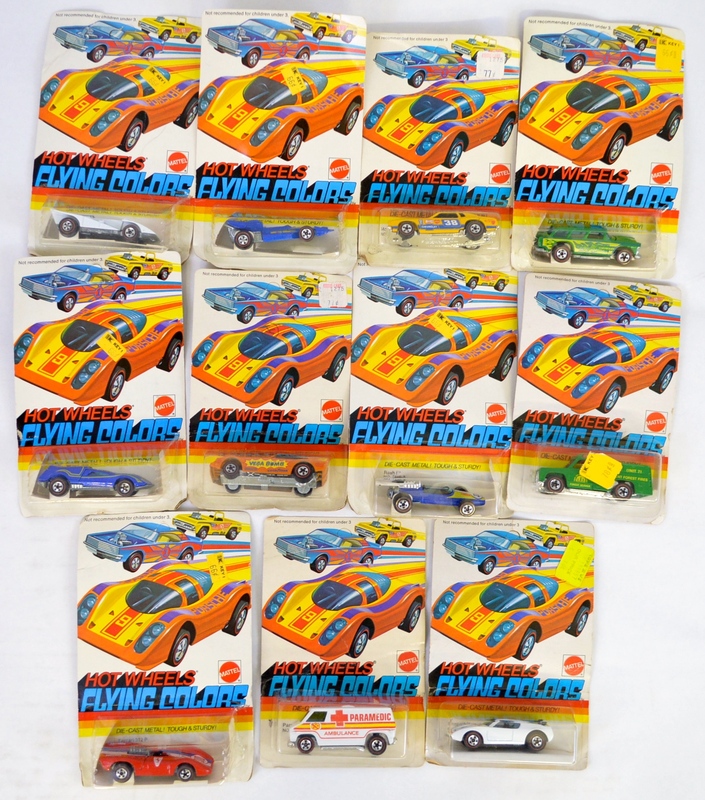 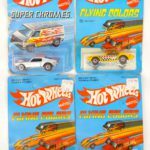 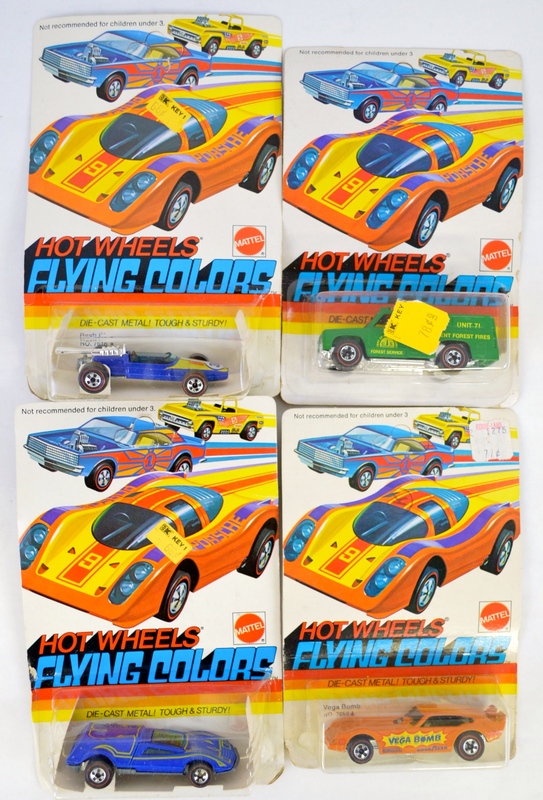 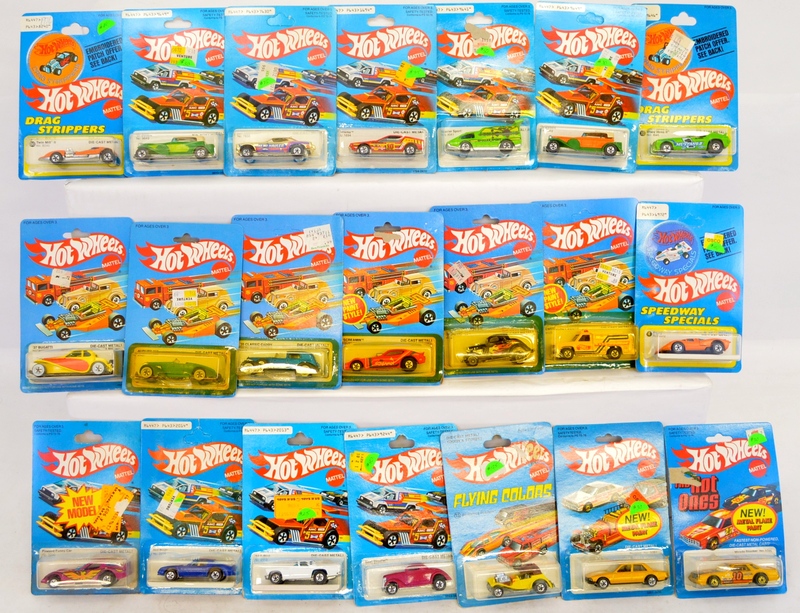 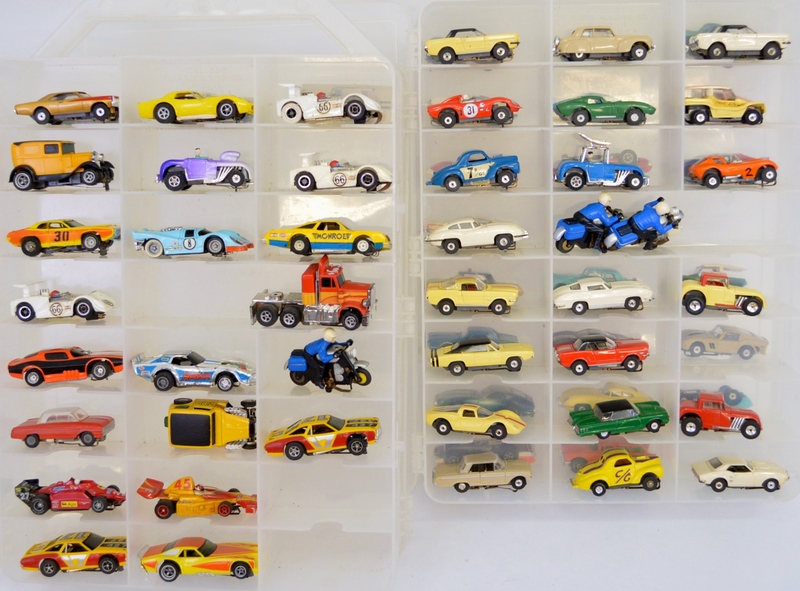 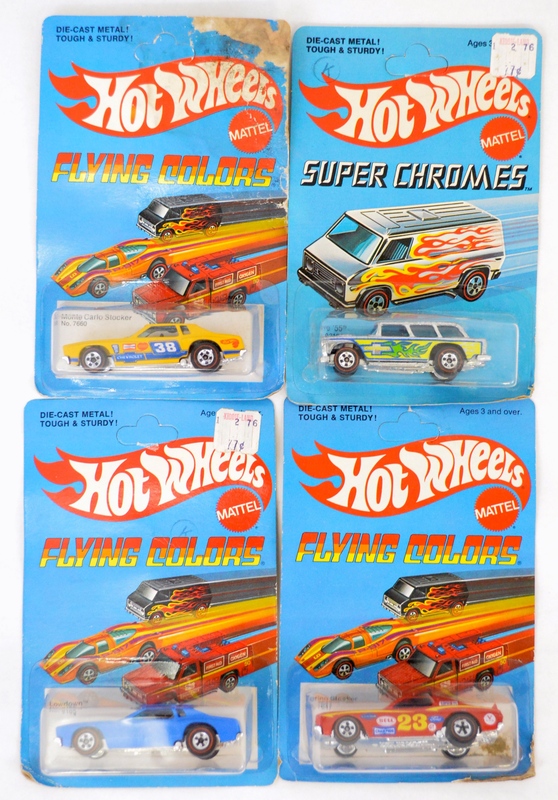 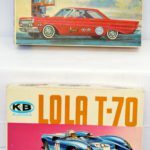 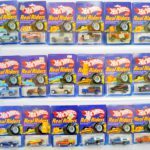 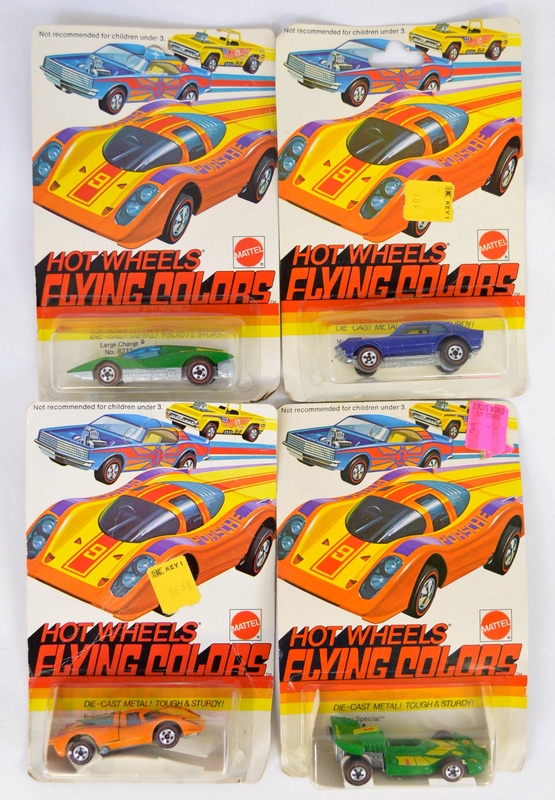 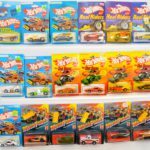 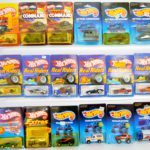 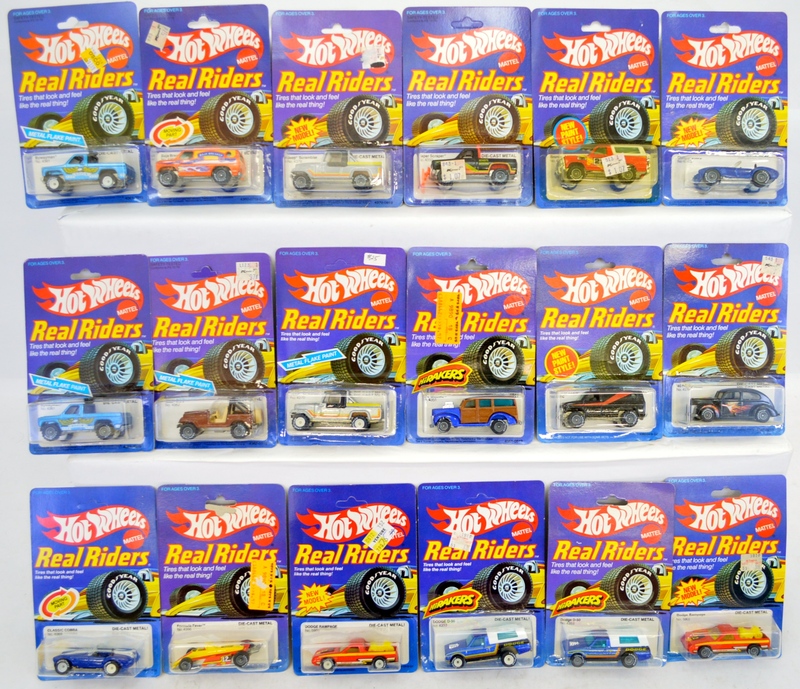 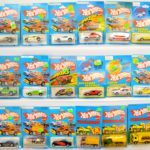 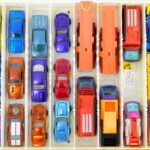 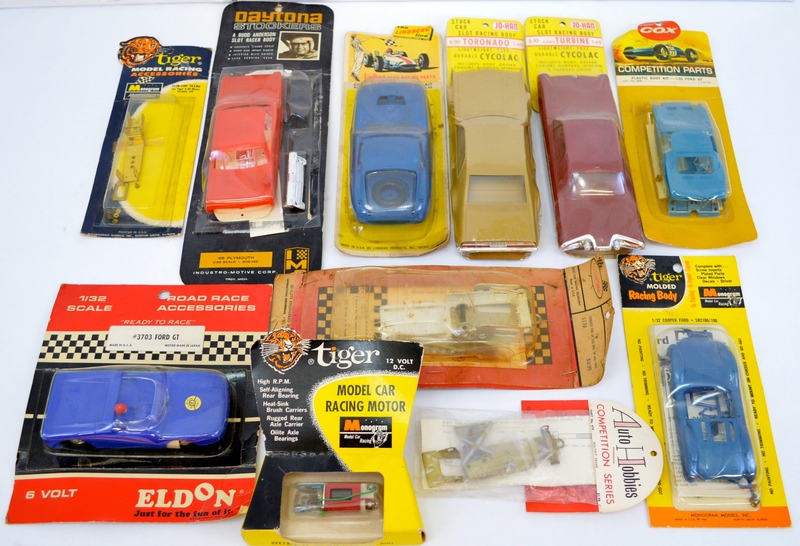 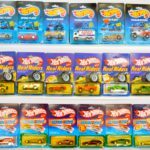 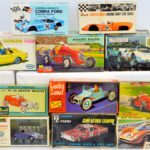 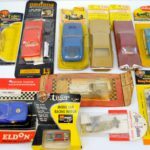 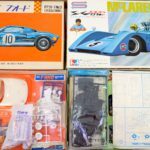 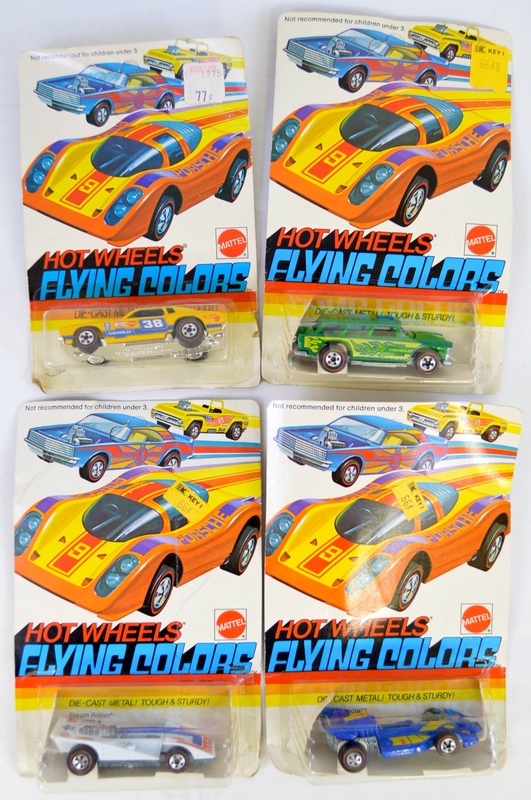 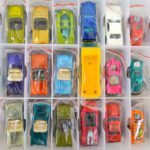 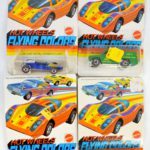 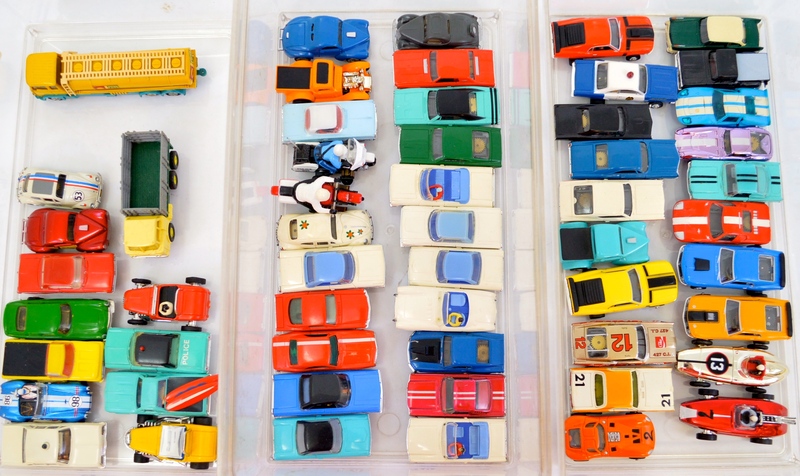 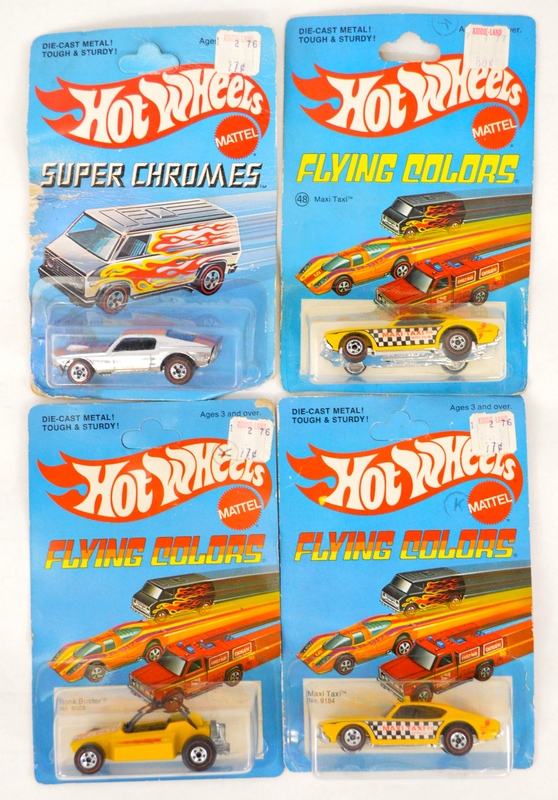 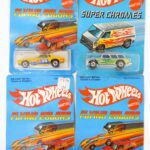 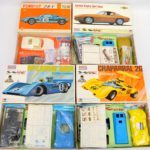 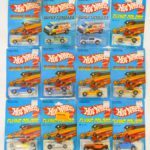 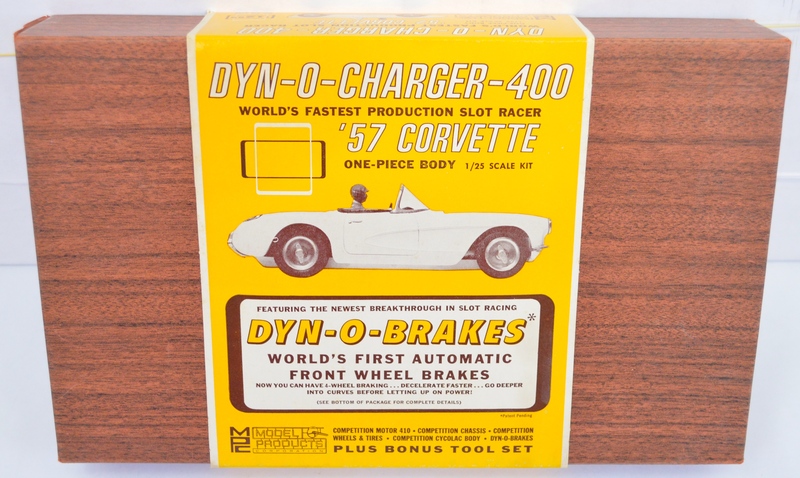 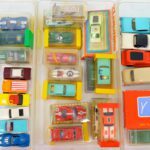 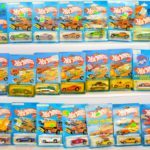 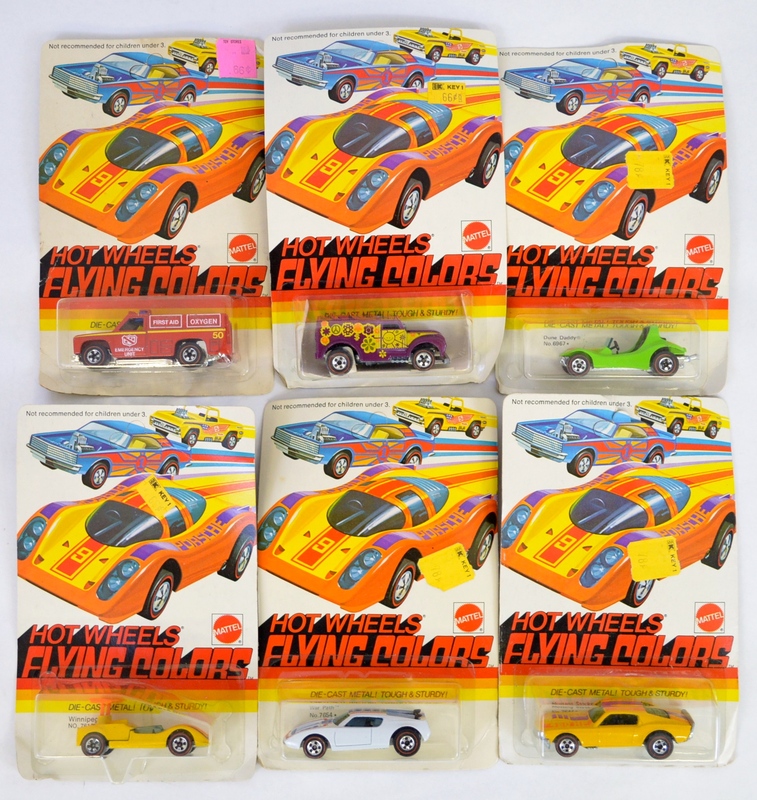 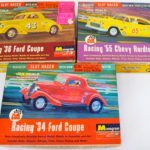 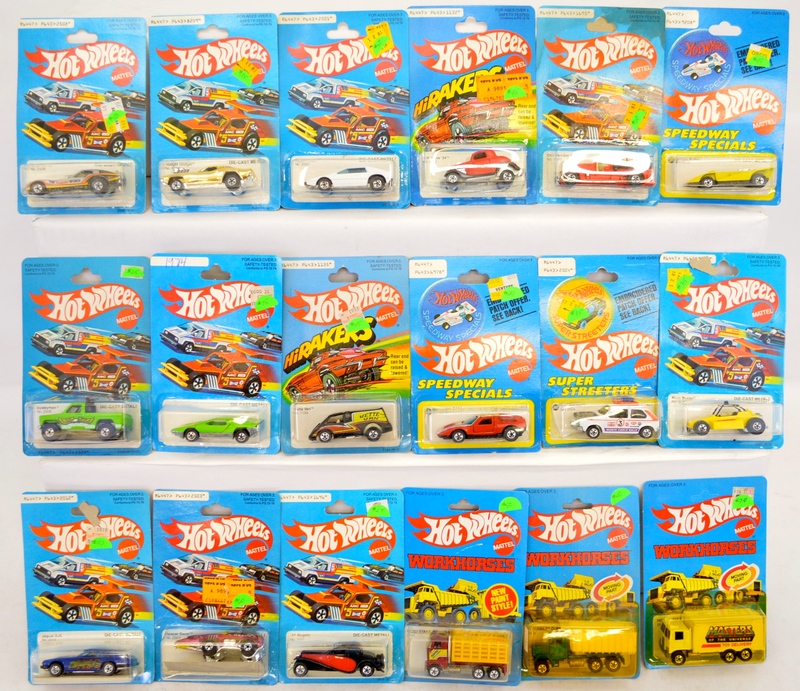 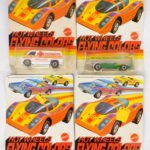 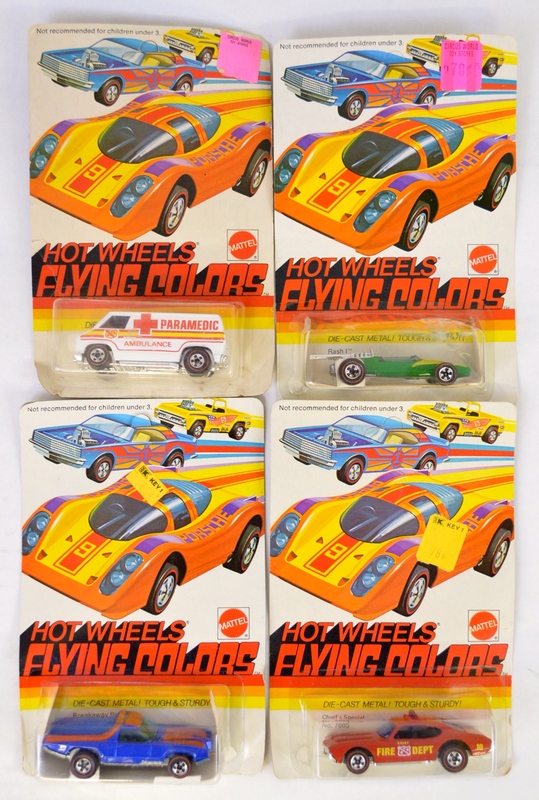 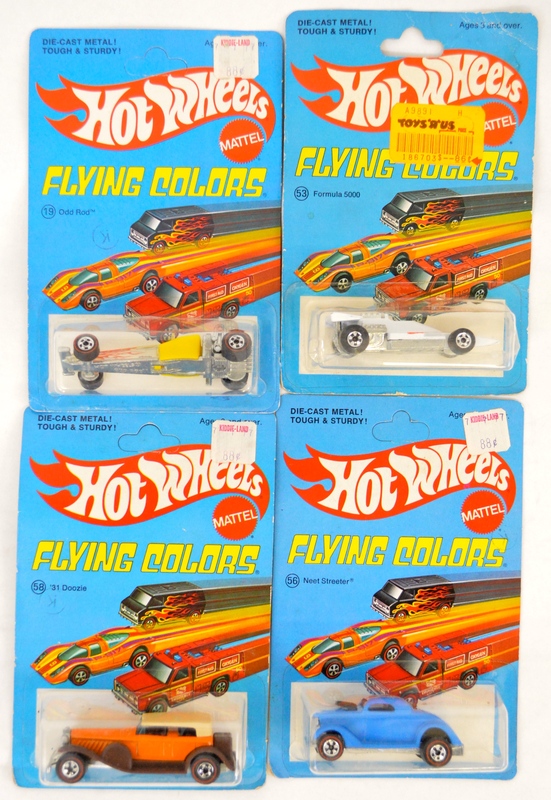 Toystrainsandotheroldstuff LLC is honored to present an incredible collection of vintage HO, 1/32 and 1/24 scale slot cars plus hundreds of redline Hot Wheels including early and later cars from Flying Colors to early black walls. 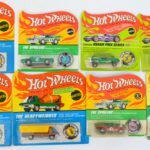 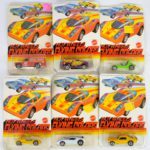 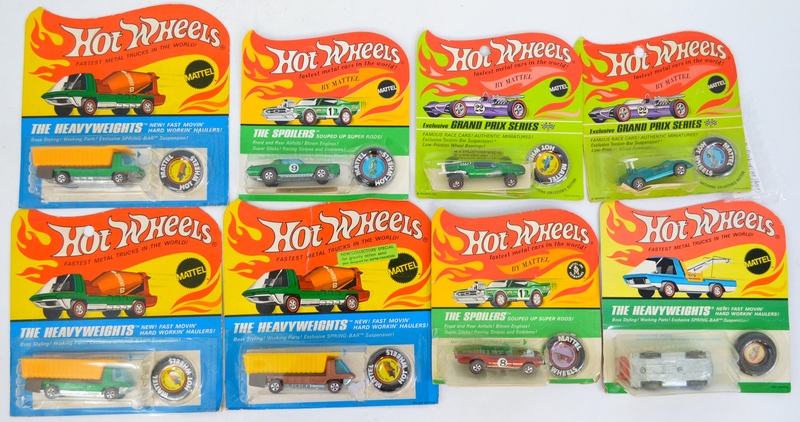 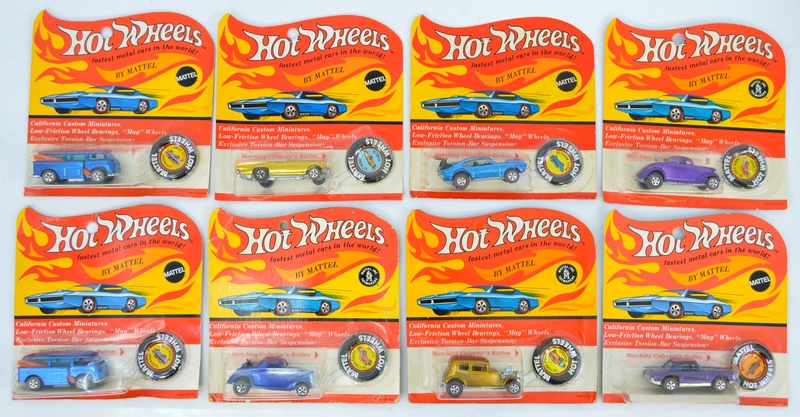 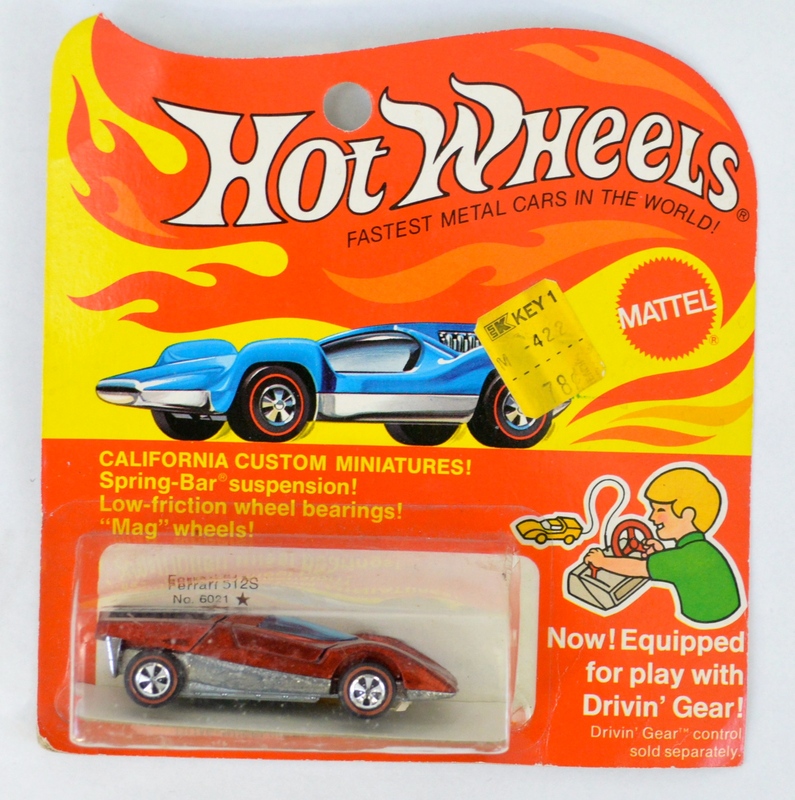 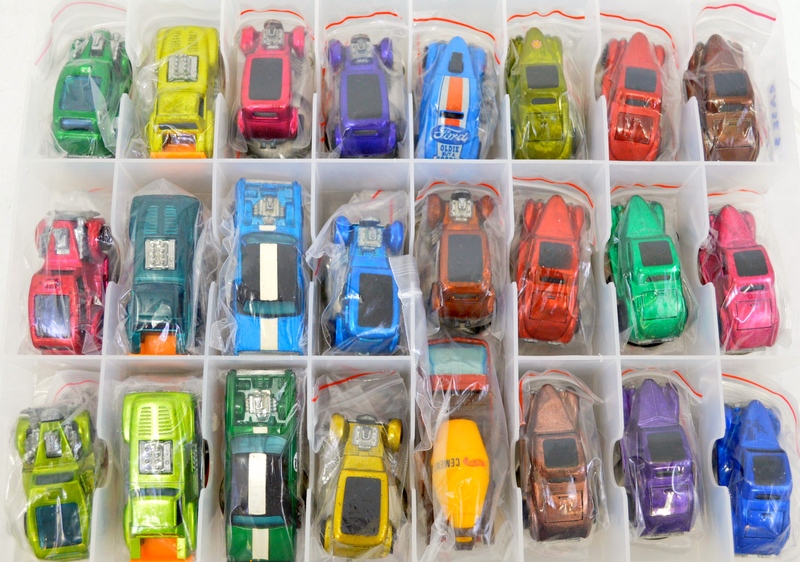 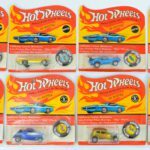 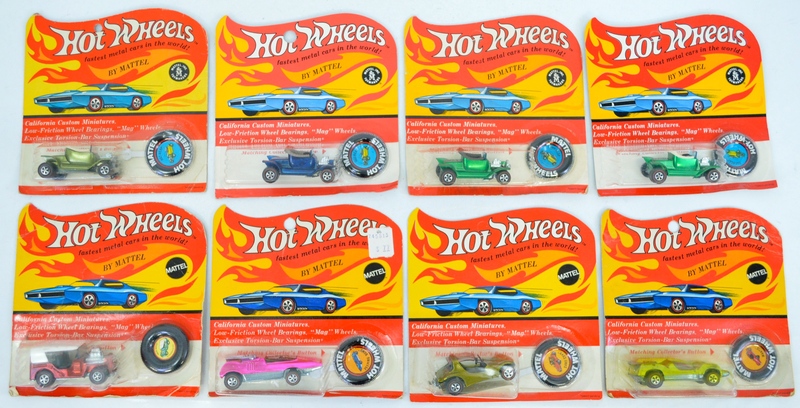 Many Hot Wheels will be available including quite a few on their blister cards. 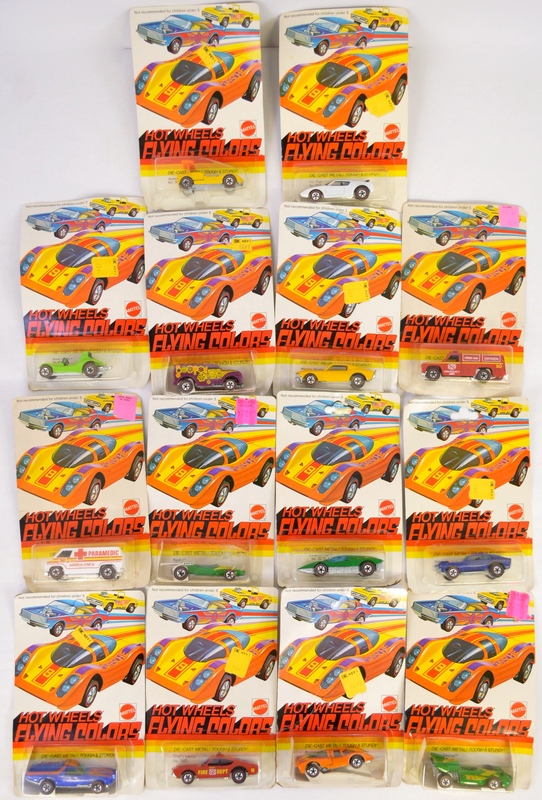 I am expecting there to be in excess of 500 cars in all between the two day sale. 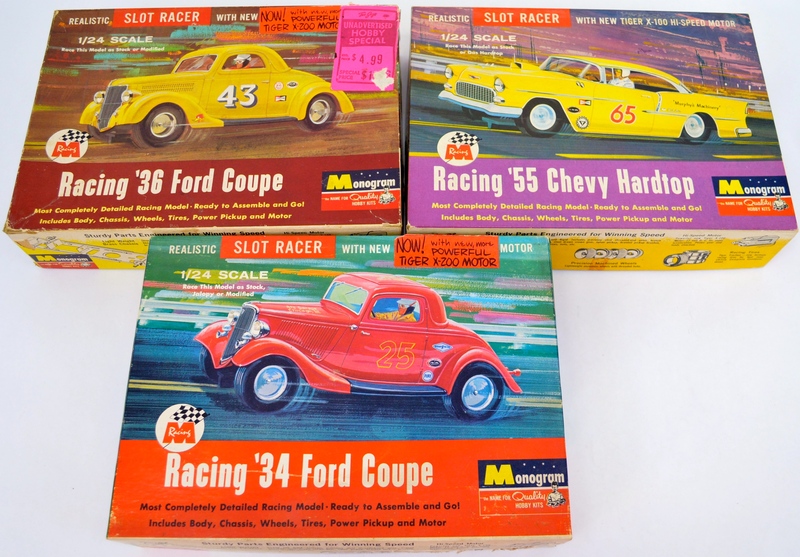 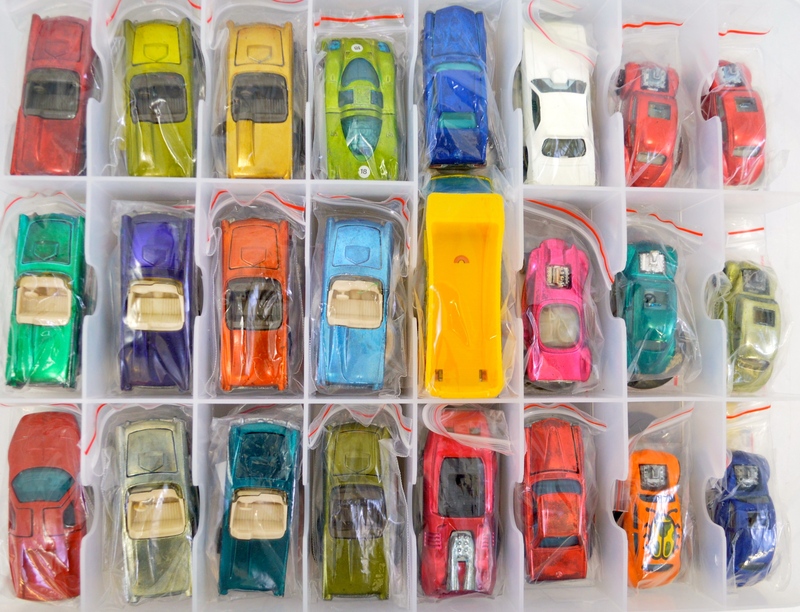 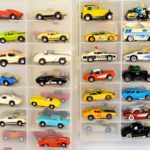 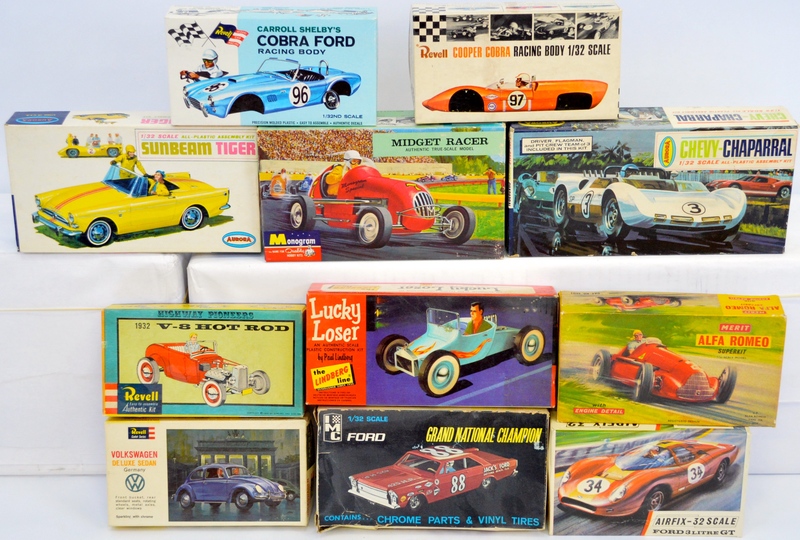 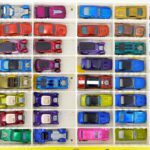 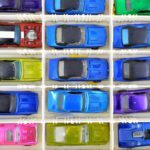 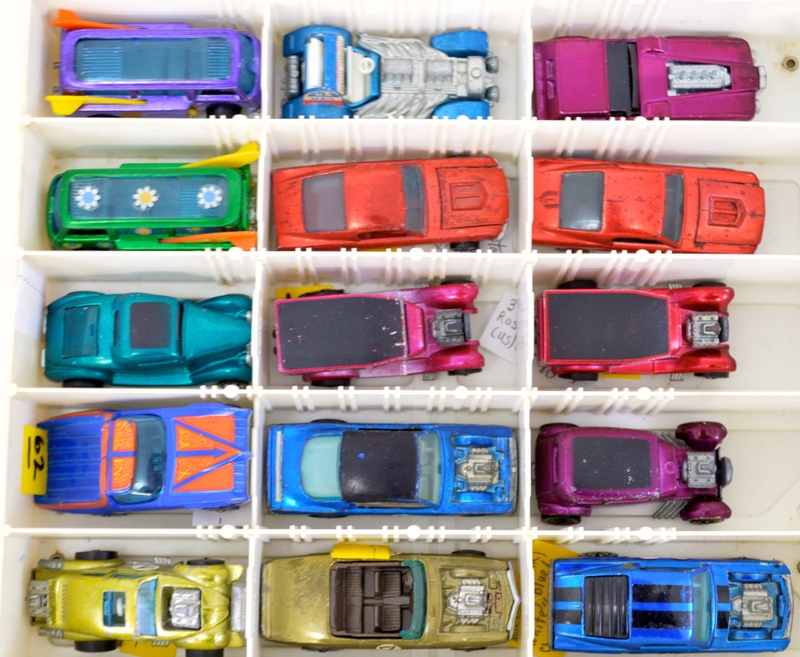 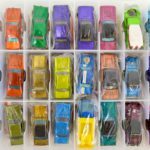 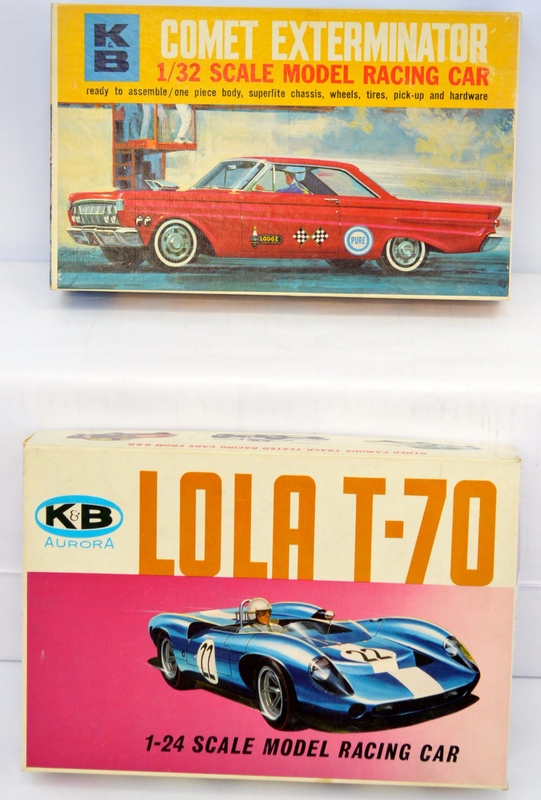 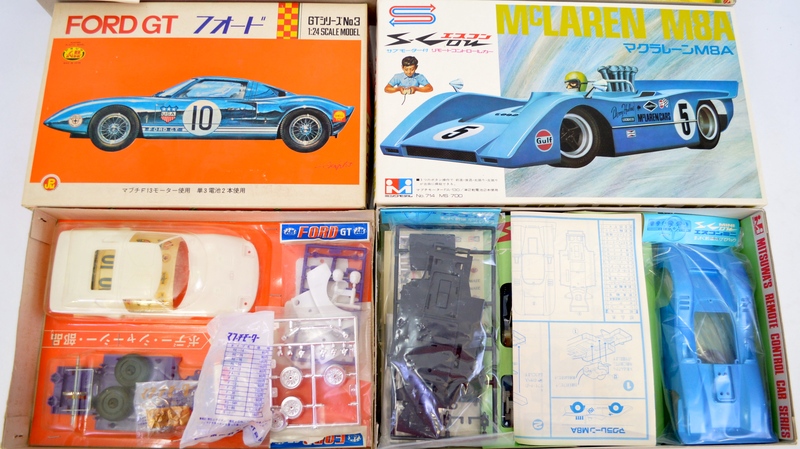 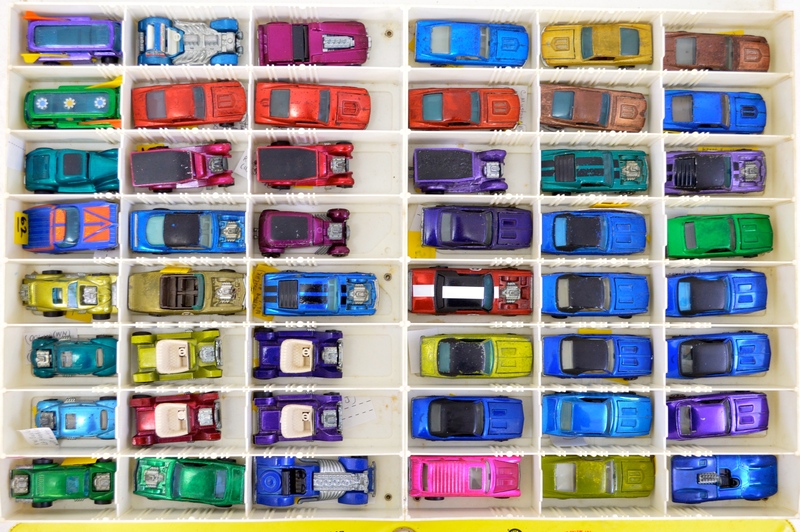 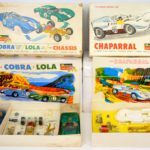 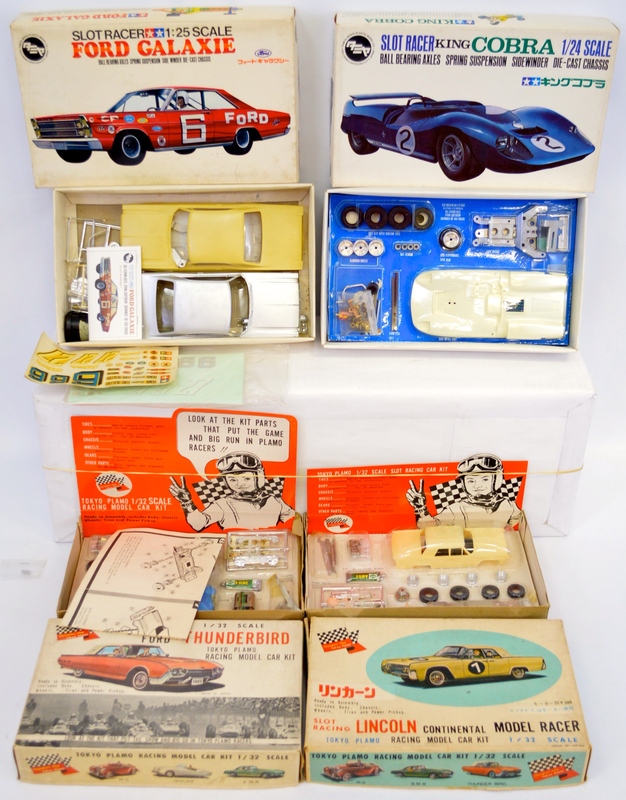 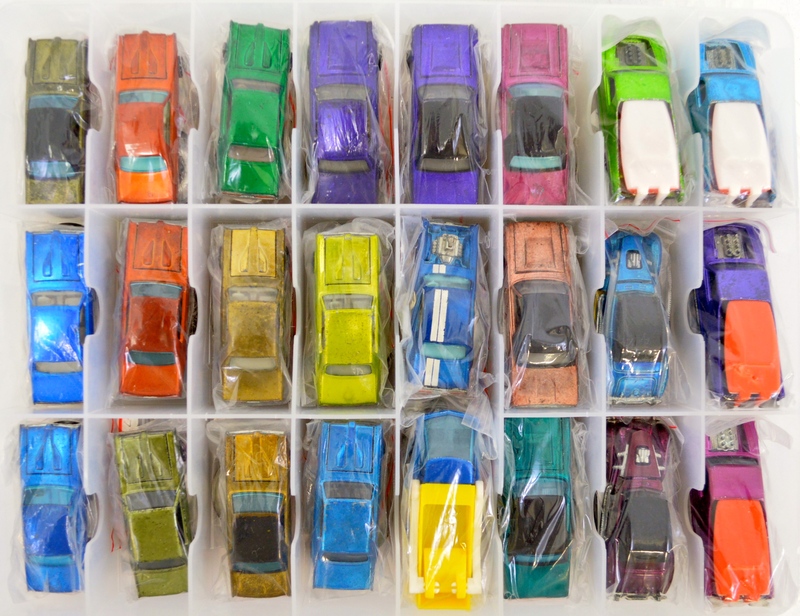 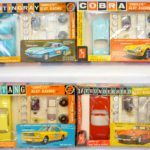 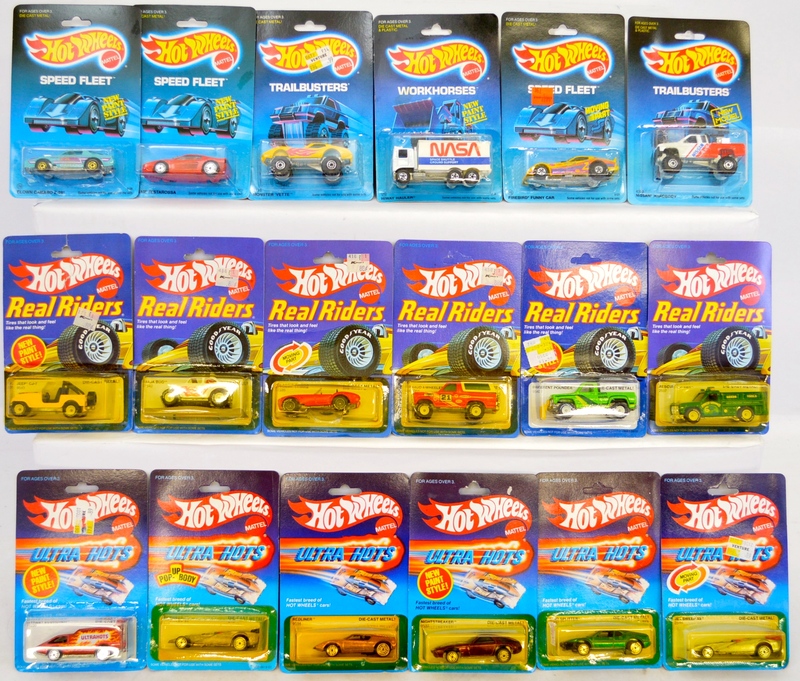 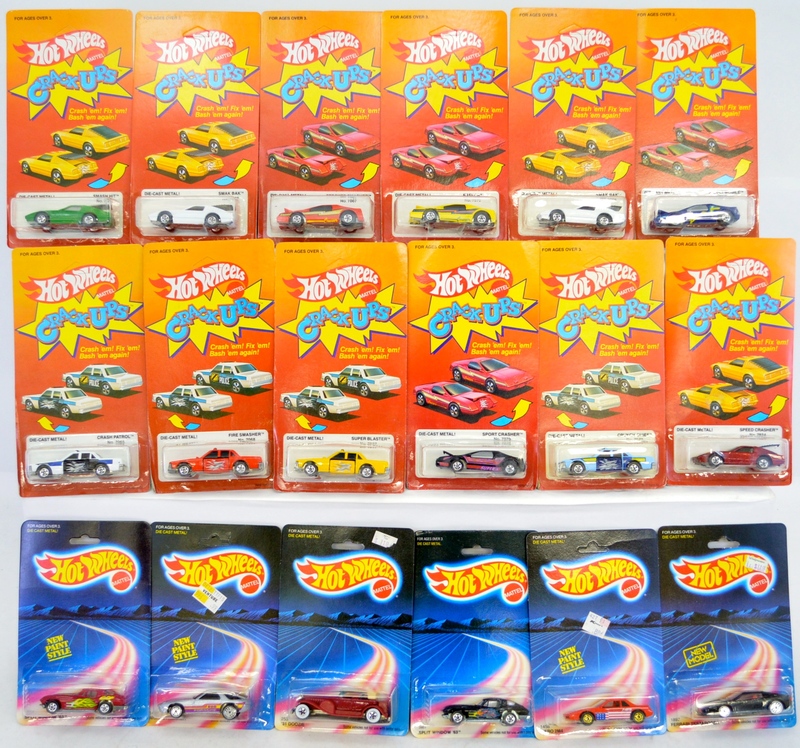 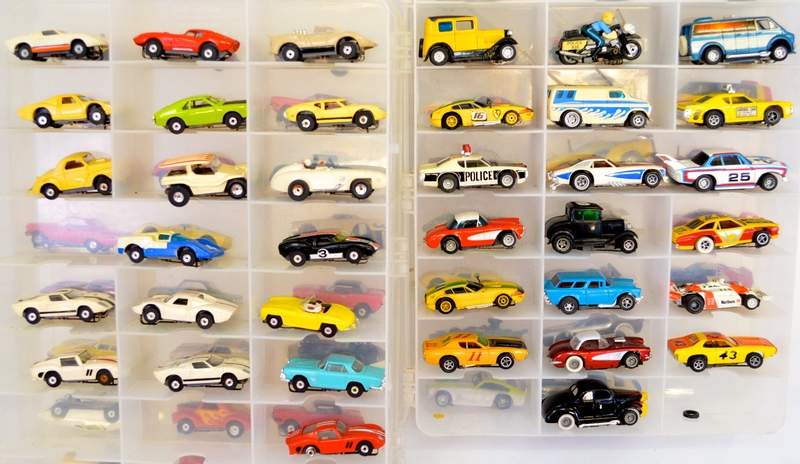 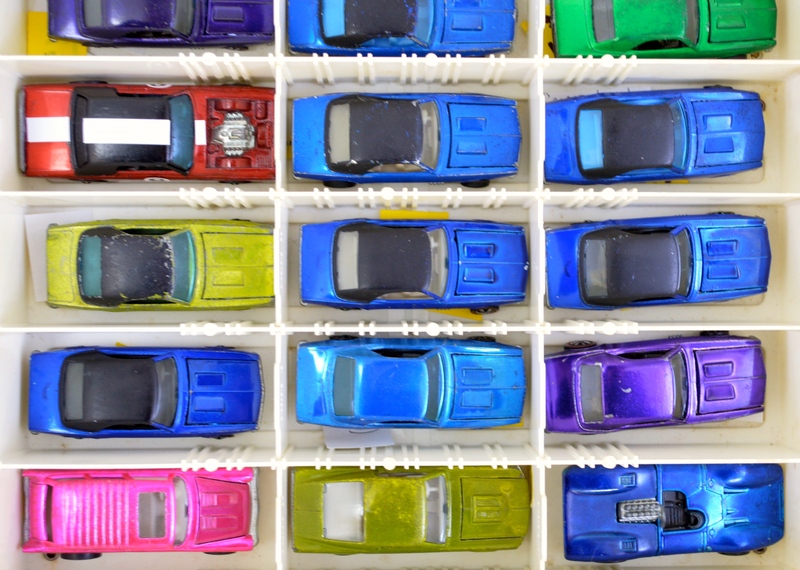 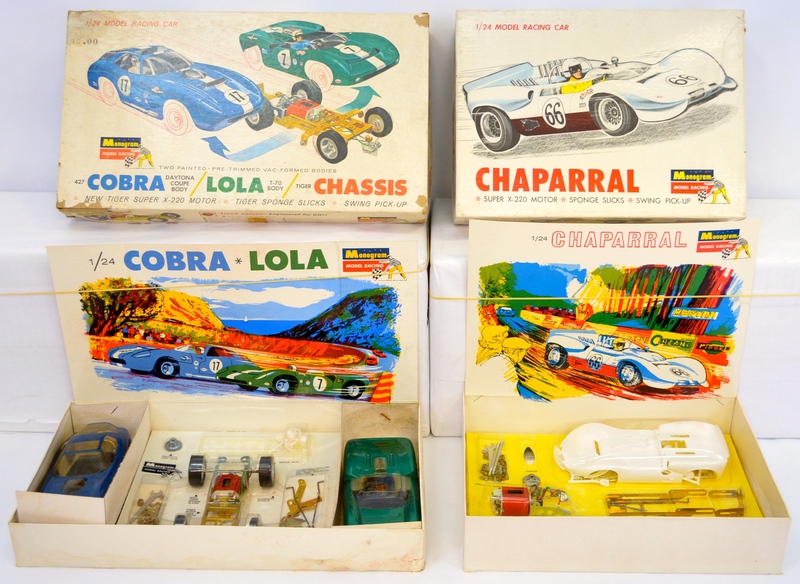 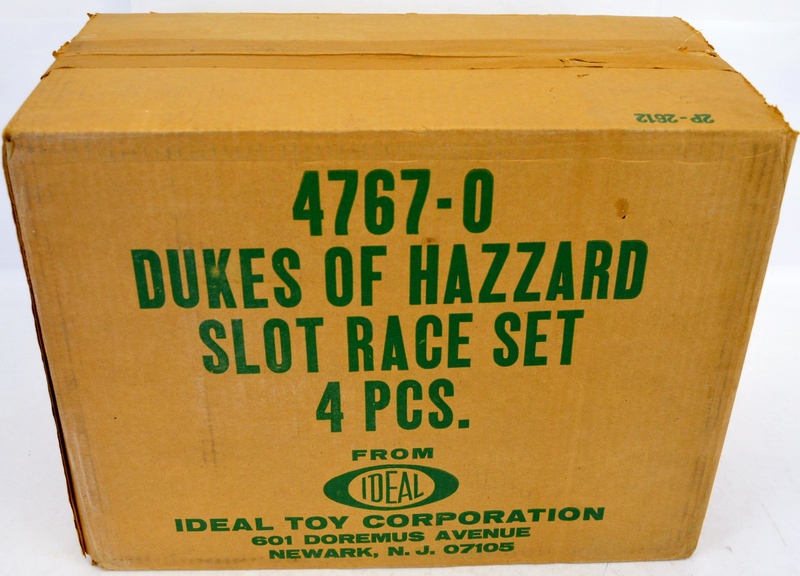 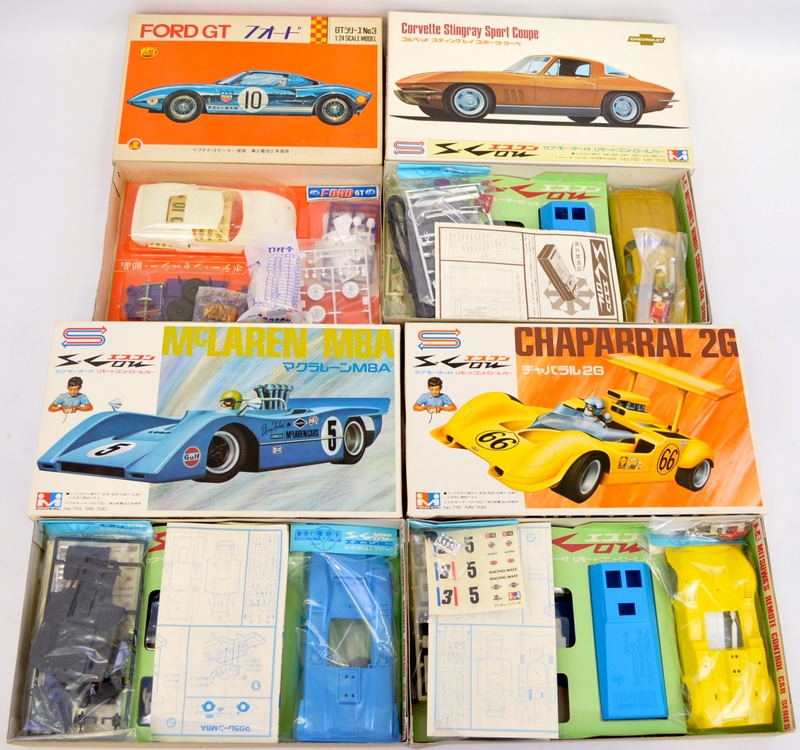 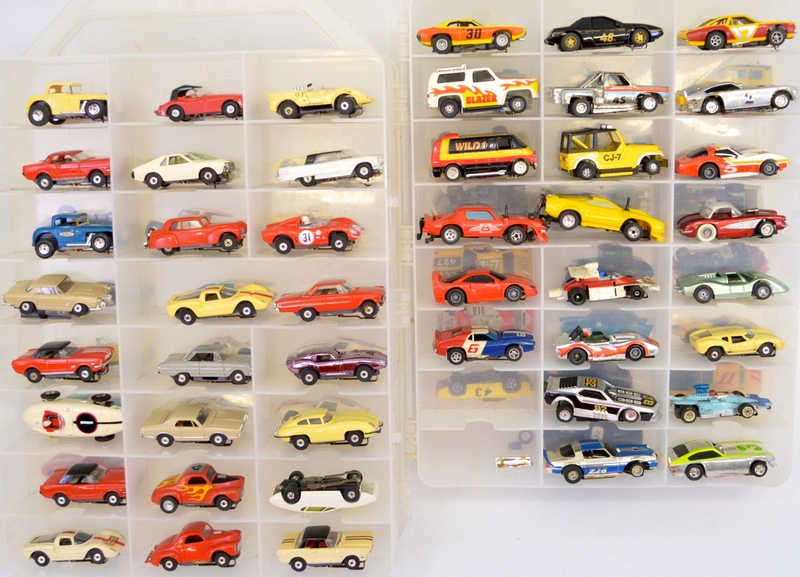 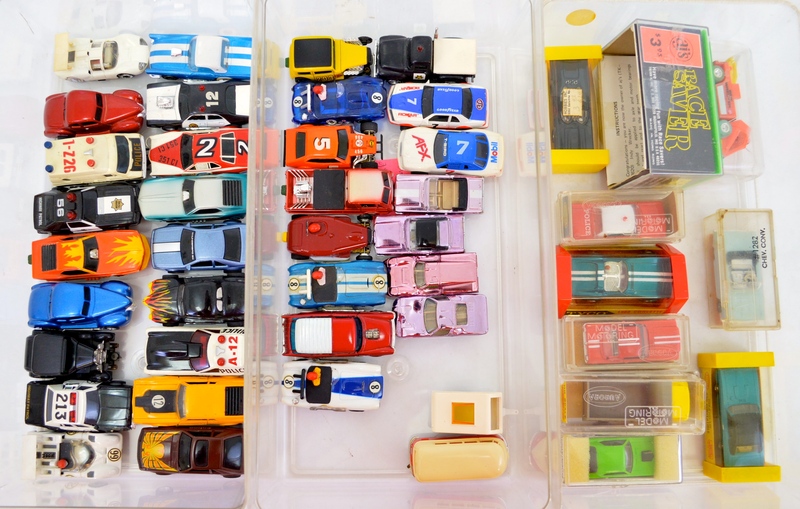 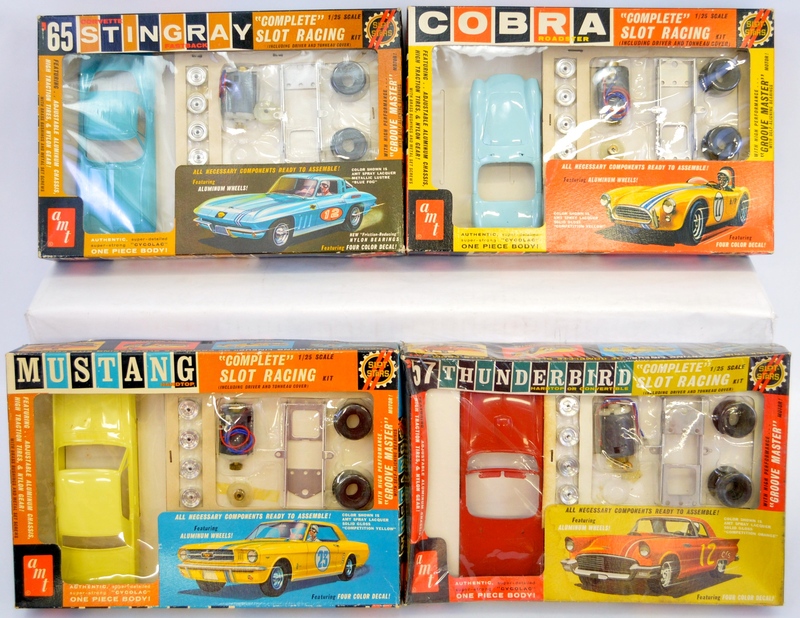 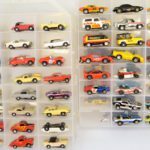 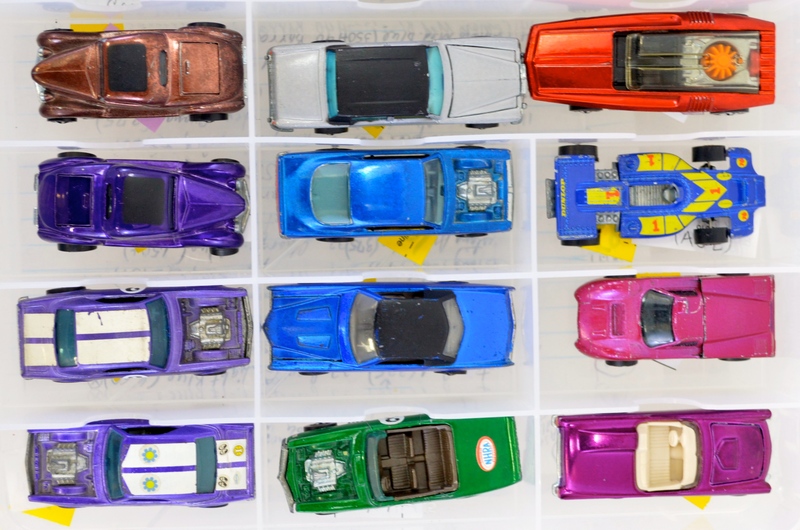 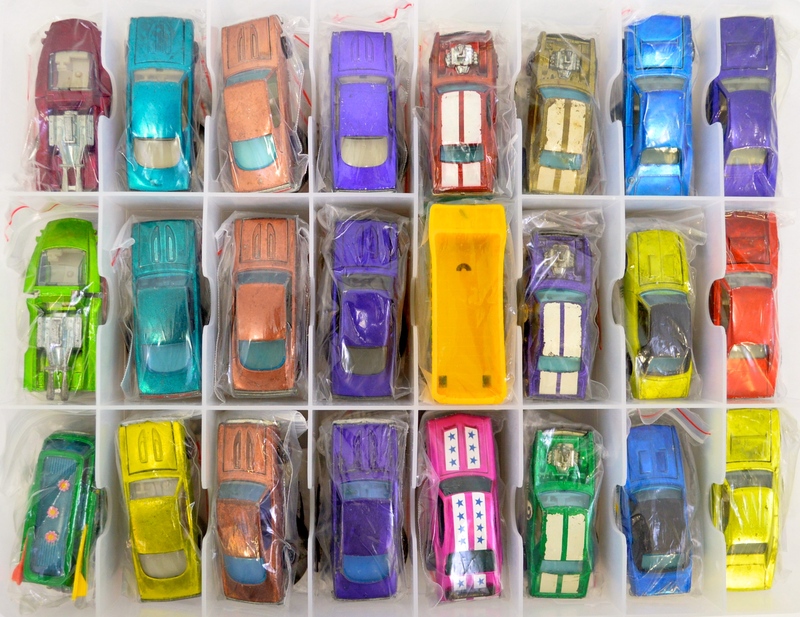 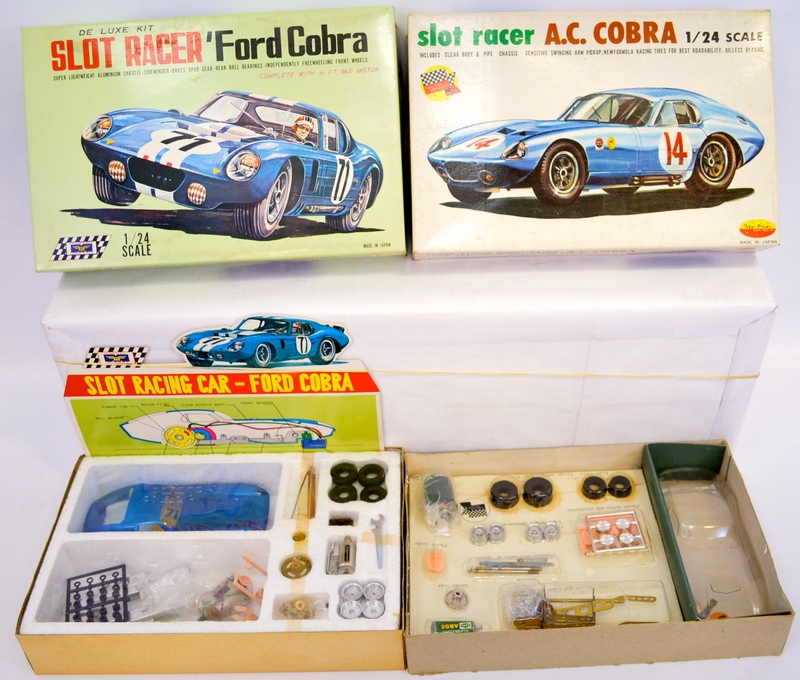 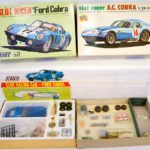 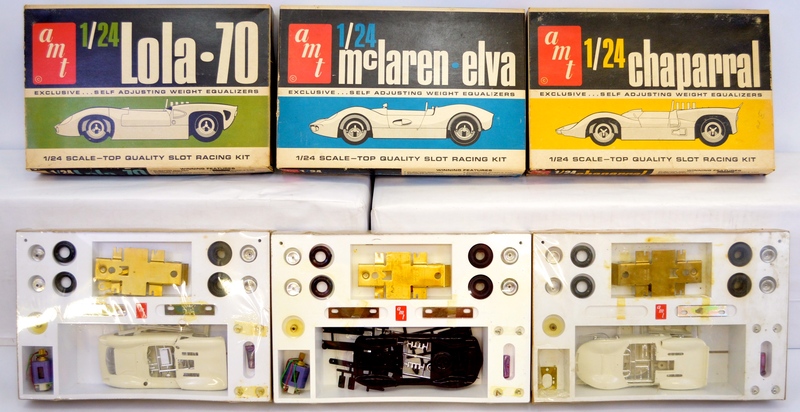 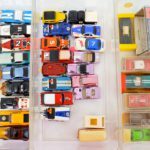 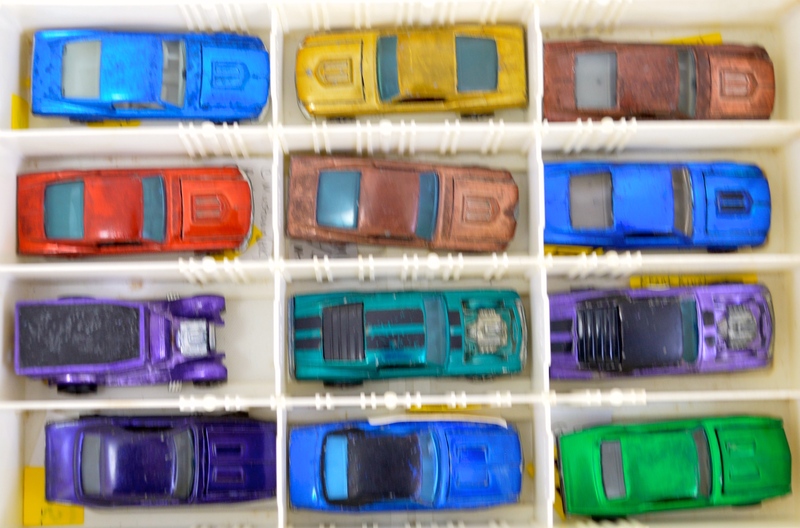 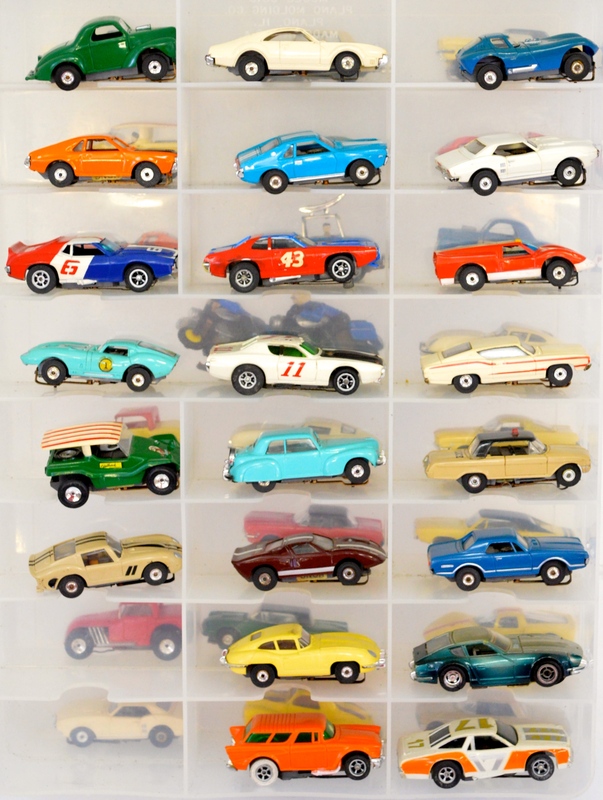 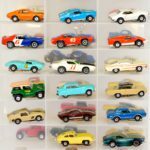 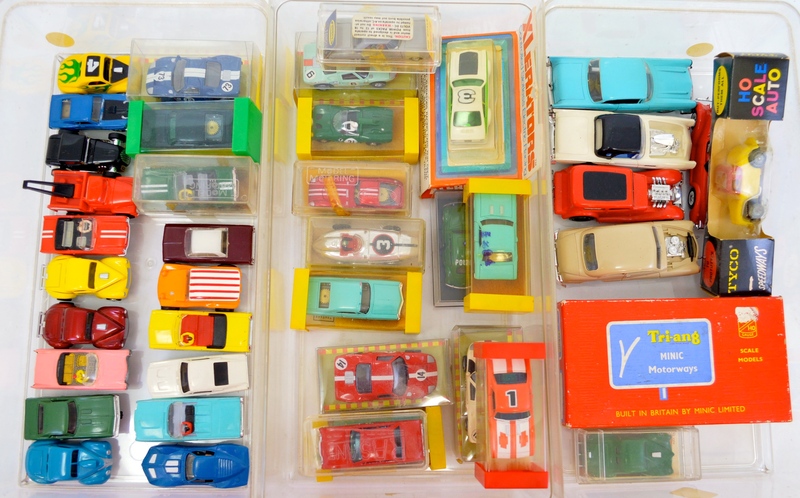 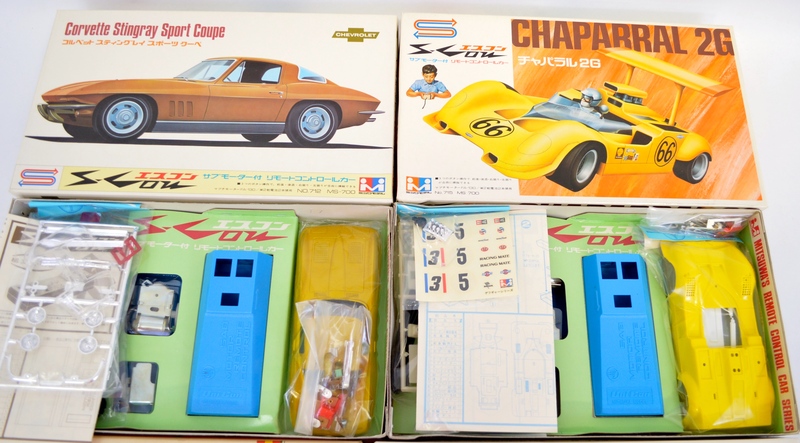 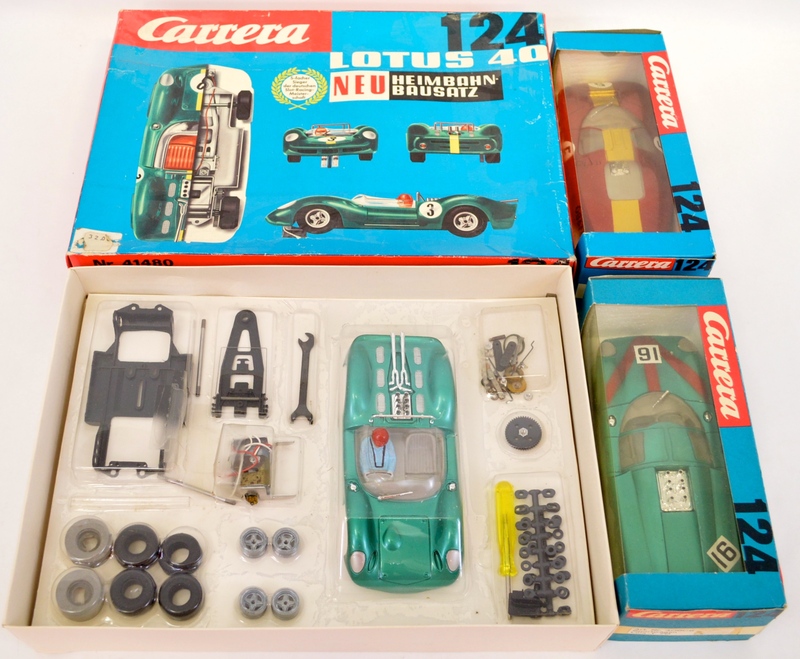 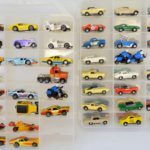 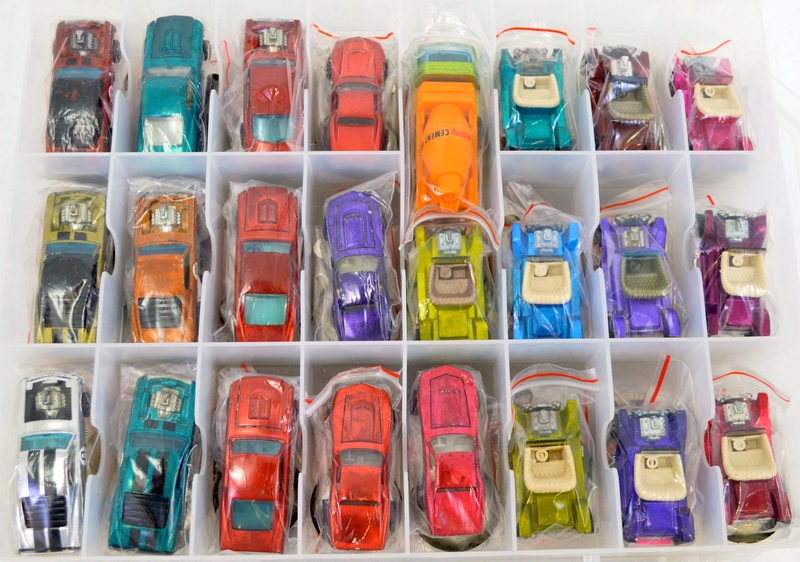 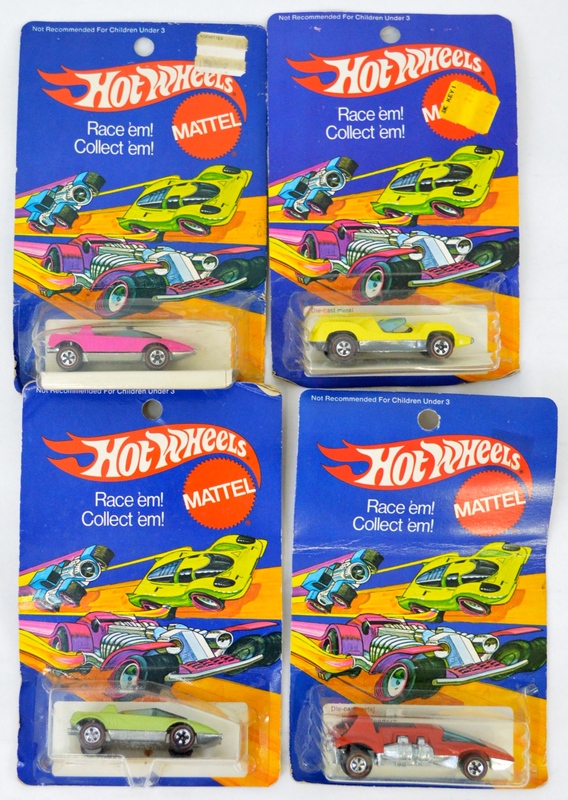 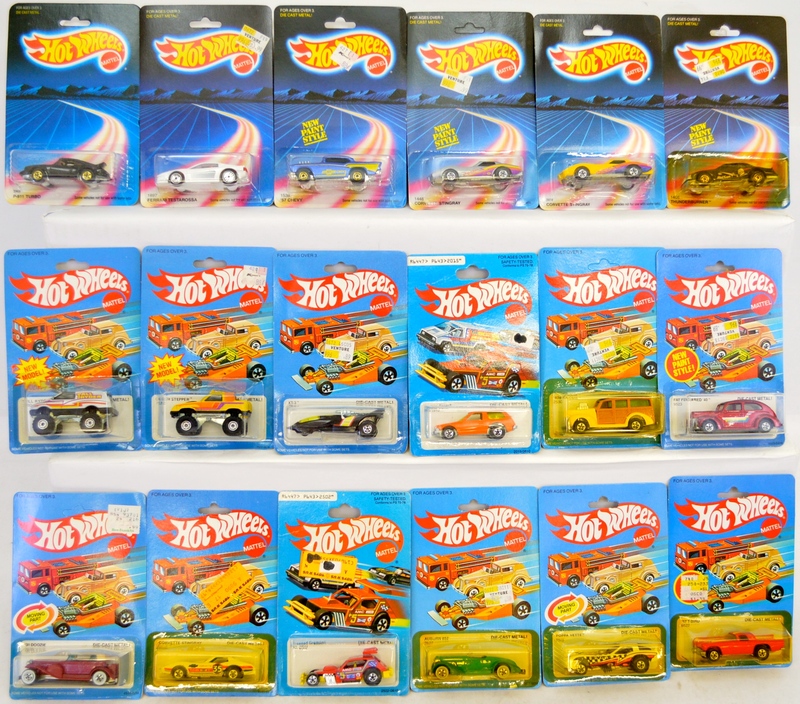 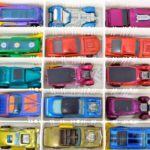 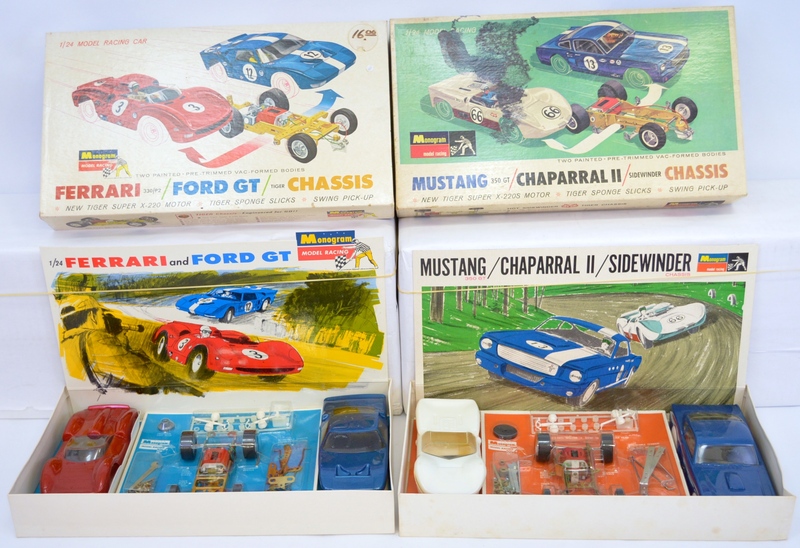 The slot car collection consists of manufacturers such as Marx, Tyco, Aurora, Cox, AMT, K&B, Monogram, Hasagawa, vintage Tamiya and original Carrera, many larger cars are still unbuilt or even unopened. 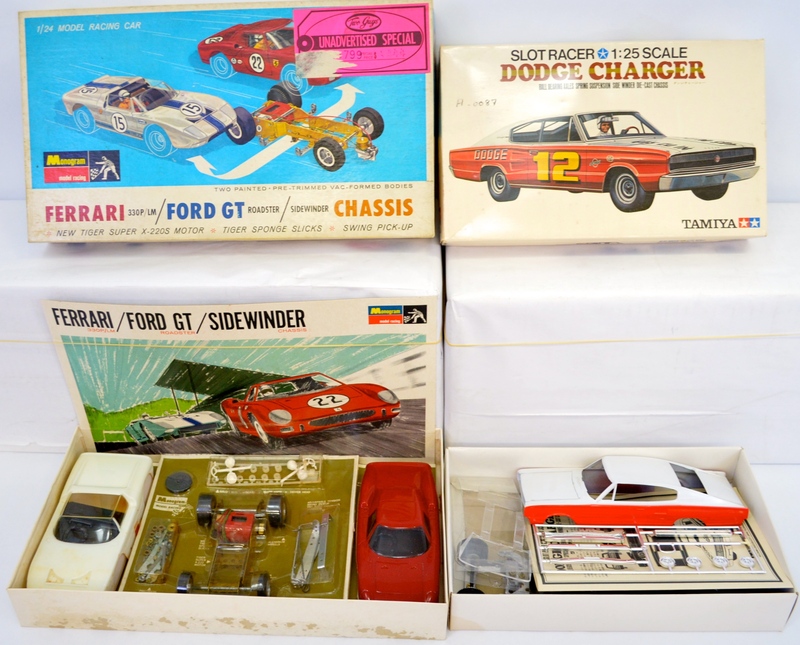 More details to come as the auction gets closer. 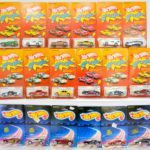 We will be posting many photos once the items have been picked up but due to limited storage space, we can only handle so much at a time. 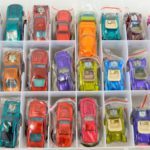 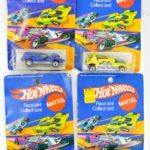 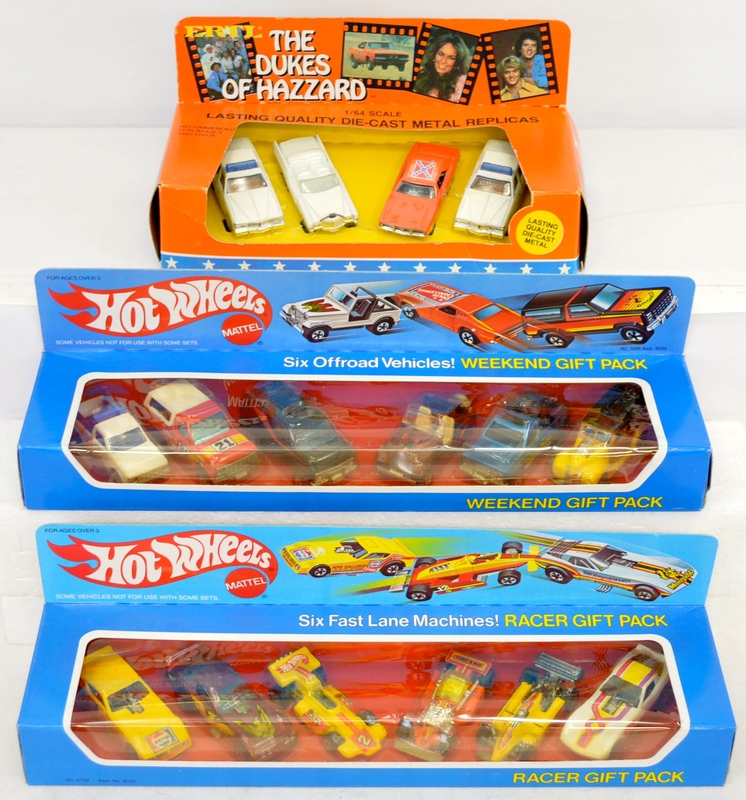 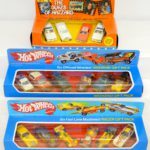 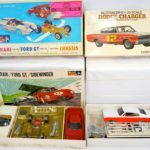 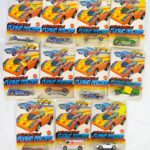 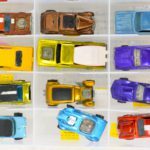 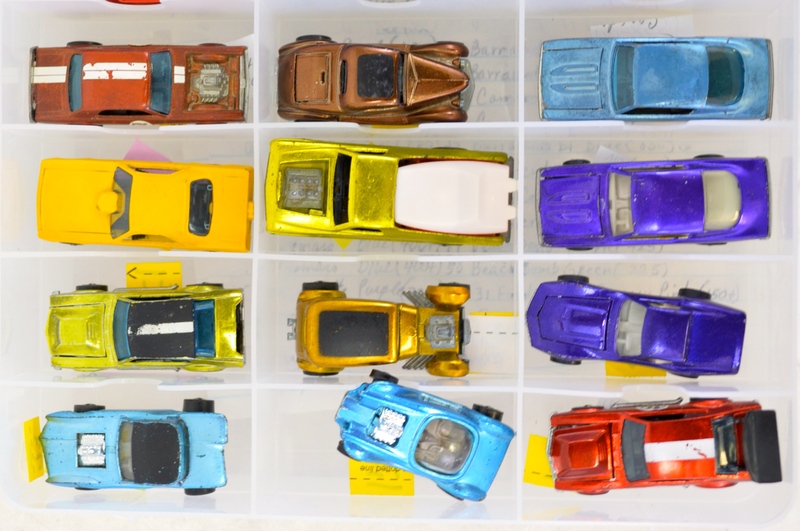 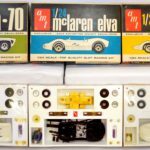 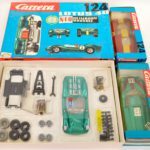 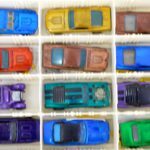 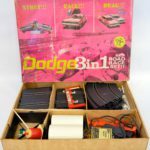 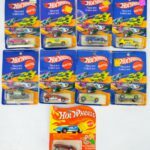 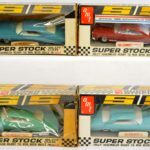 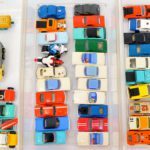 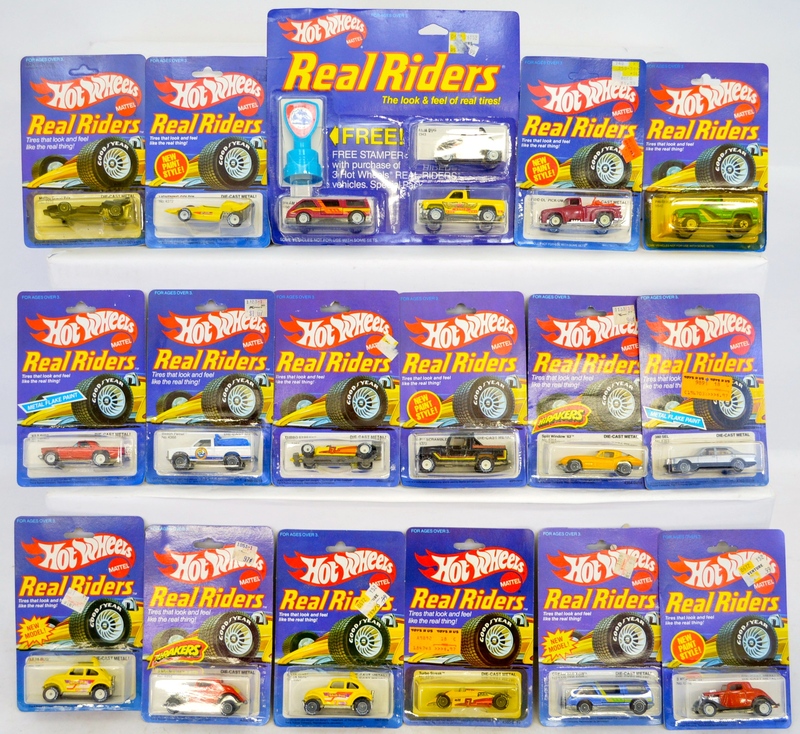 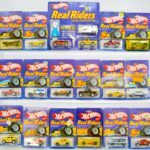 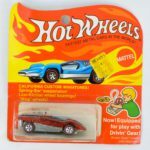 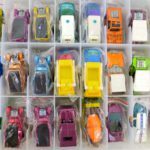 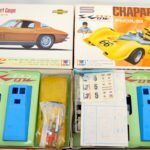 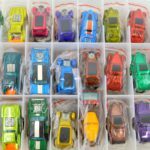 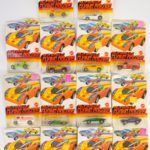 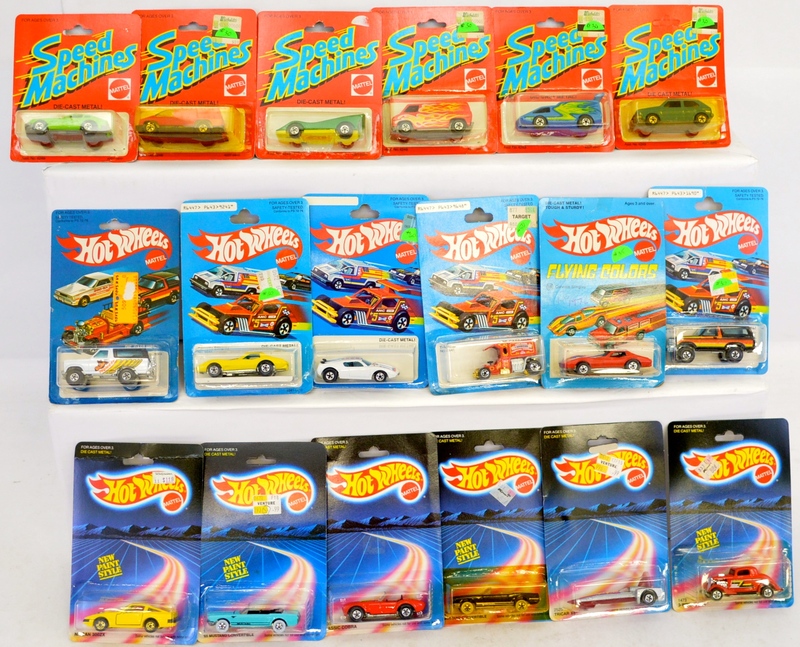 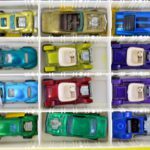 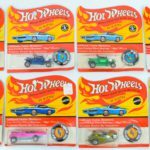 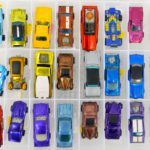 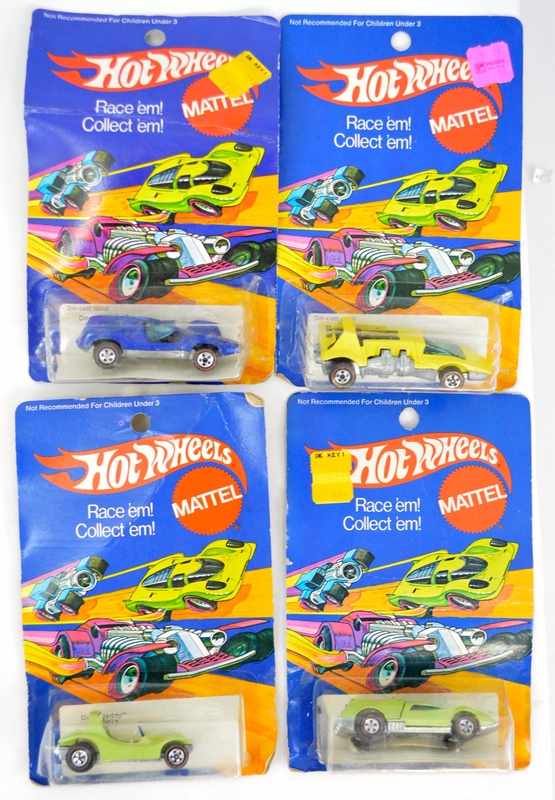 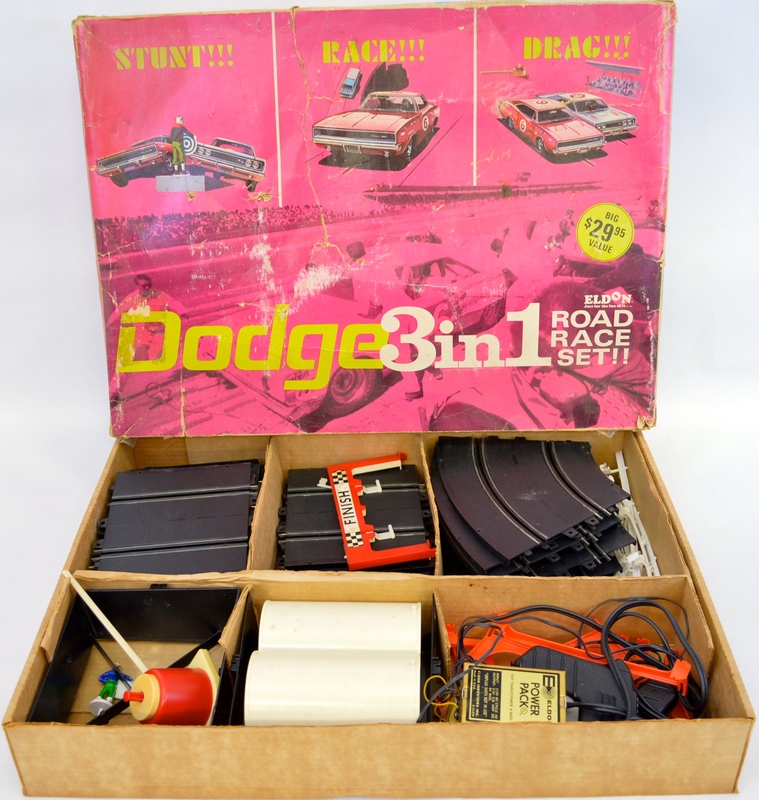 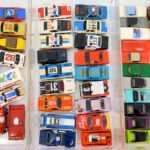 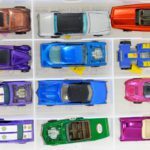 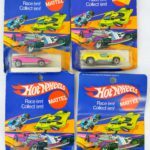 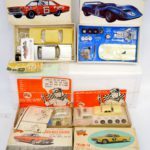 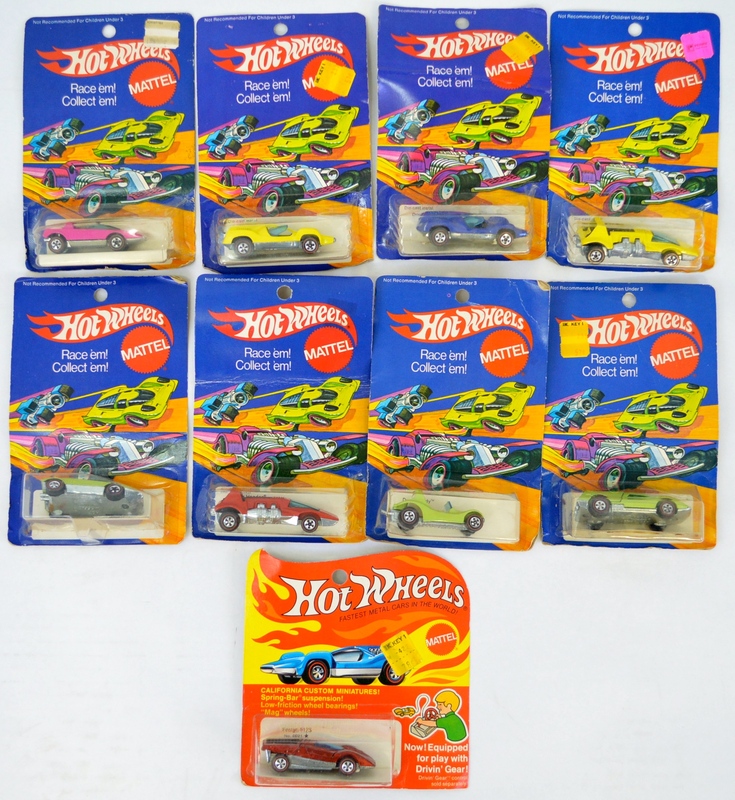 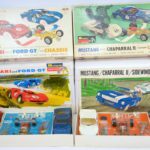 If you are a vintage slot car OR Hot Wheels collector, you absolutely do not want to miss this sale, there will be many items available and the condition on the majority of it is excellent or better with many new in box pieces. 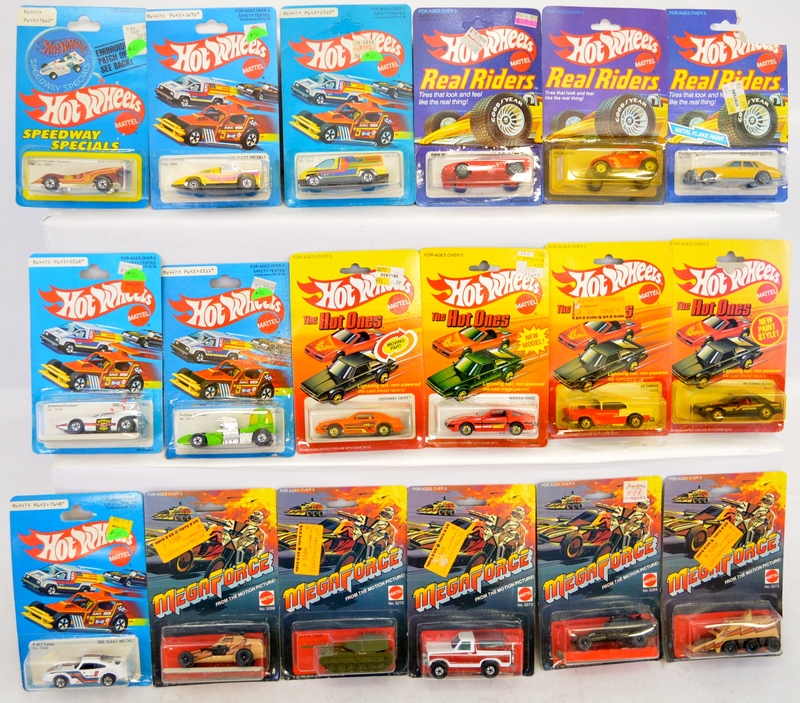 Auction scheduled for Friday and Saturday may 25th and 26th, 2018 at the Toystrainsandotheroldstuff LLC auction facility at 1951 W Division Rd, Fowler, IN. 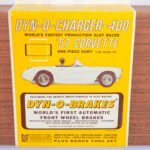 We are located 1 mile east of US 41, 6 miles north of Boswell, IN or 12 miles south of Kentland, IN and 1 mile south of IN 18, 2 miles west of Fowler. 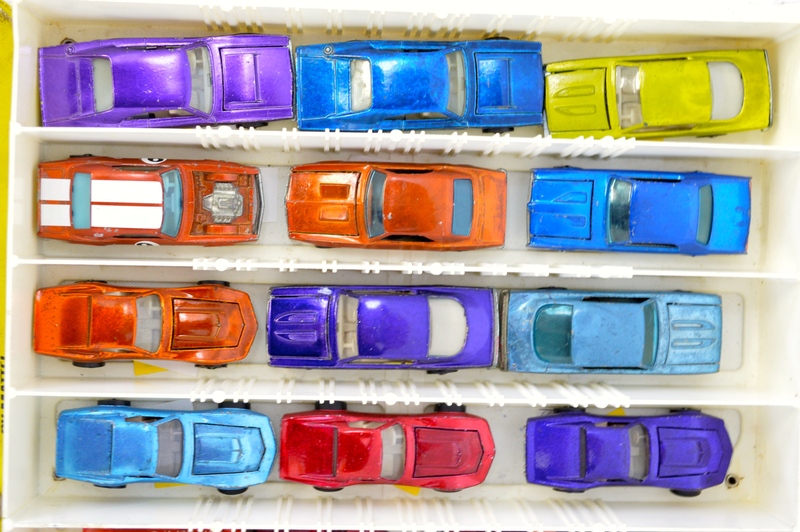 The Red Roof Inn in Kentland is the closest hotel and you can contact them directly at 218-474-5700 but there are many to choose from in West Lafayette, which is 30 miles away. 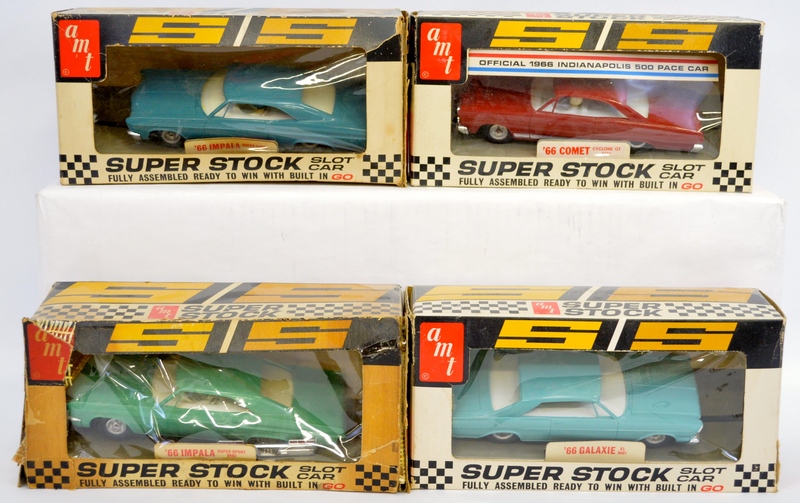 Auctions will start promptly at 10AM with preview from 8AM-10AM before each days sale. 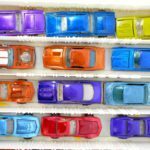 Lunch breaks will be 15 minutes each day at NOON. 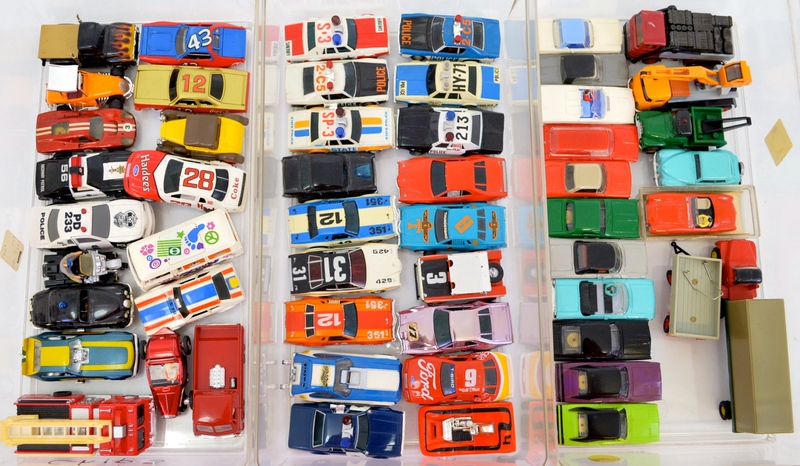 We provide sandwiches from Jimmy Johns, water, coffee and dessert cake for all in attendance. 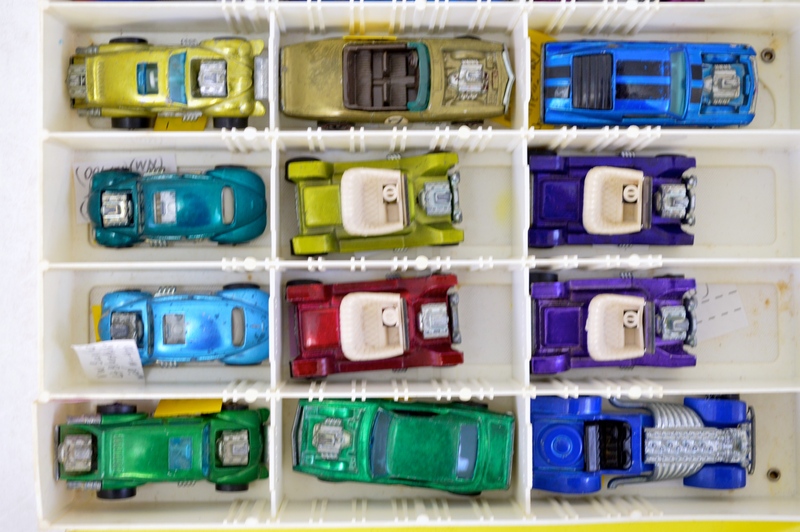 Indoor restroom available, no smoking inside auction house or within 20 feet of door. 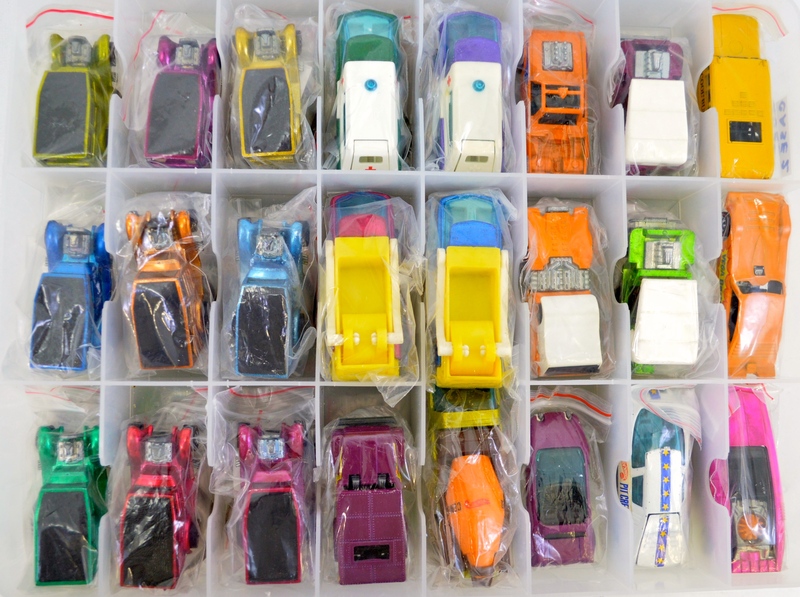 Online bidding will be available with a 15% buyers premium and a 3% convenience fee for credit or paypal. 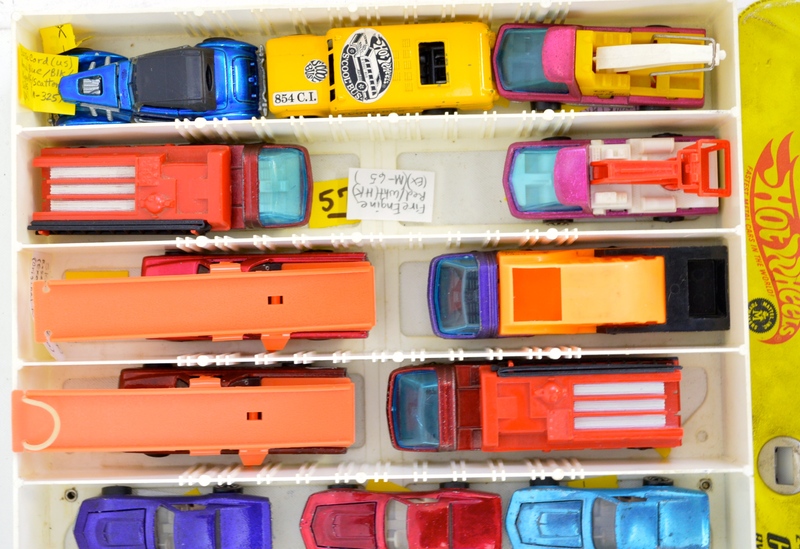 Live in house buyers premium is 10% with 3% convenience fee for credit cards. 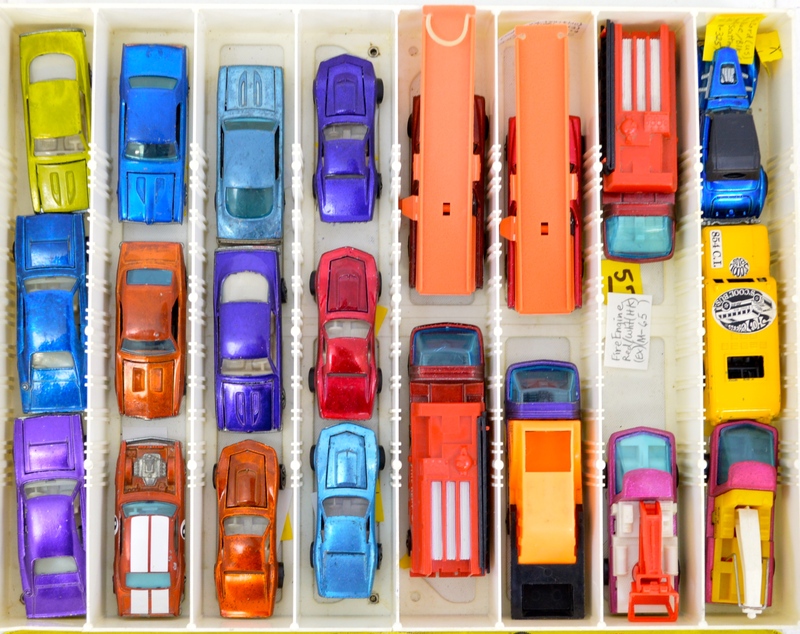 Shipping is available for those unable to attend, phone bids and absentee bids accepted upon signing bidder agreement. 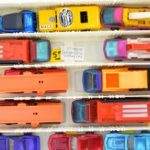 7% Indiana State sales tax will be collected on all in state purchases. 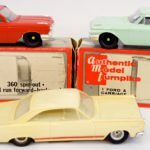 Shipping is available for those unable to attend, phone bids and absentee bids accepted upon signing bidder agreement.